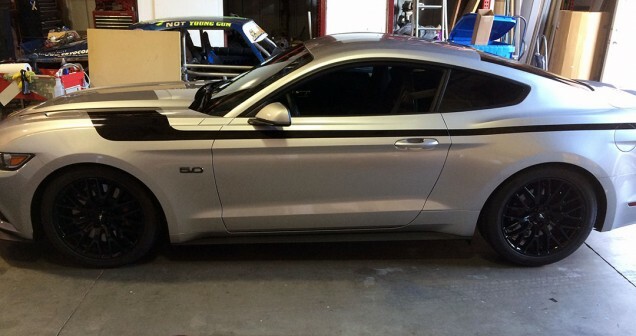 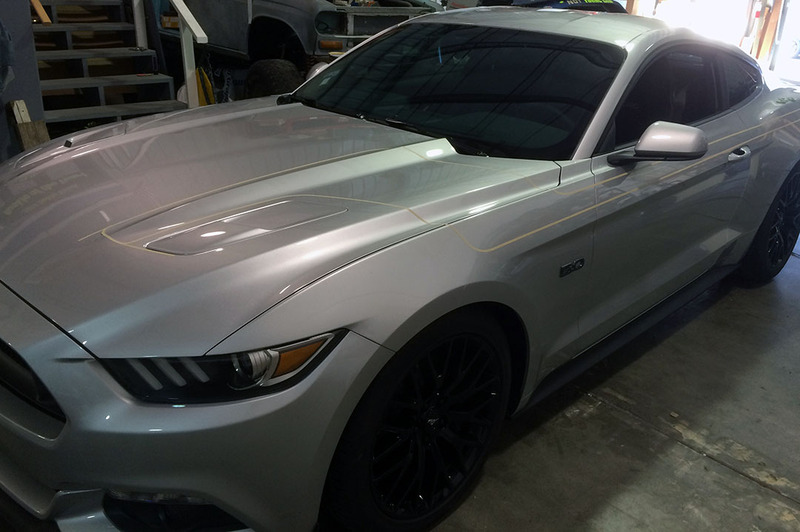 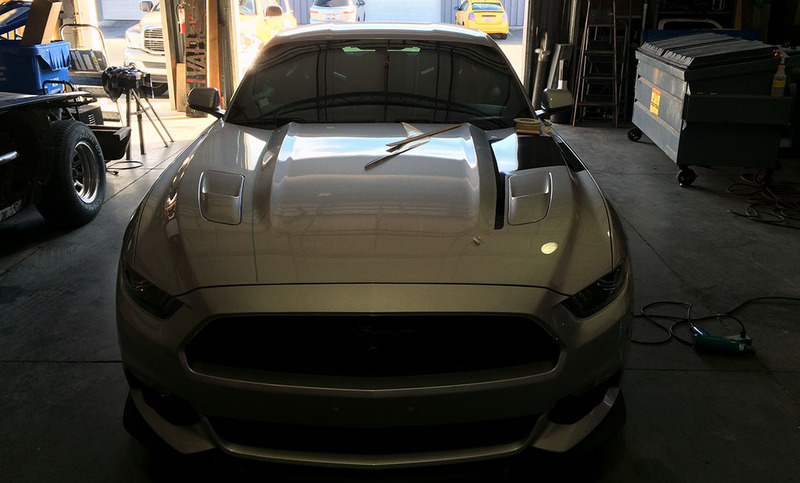 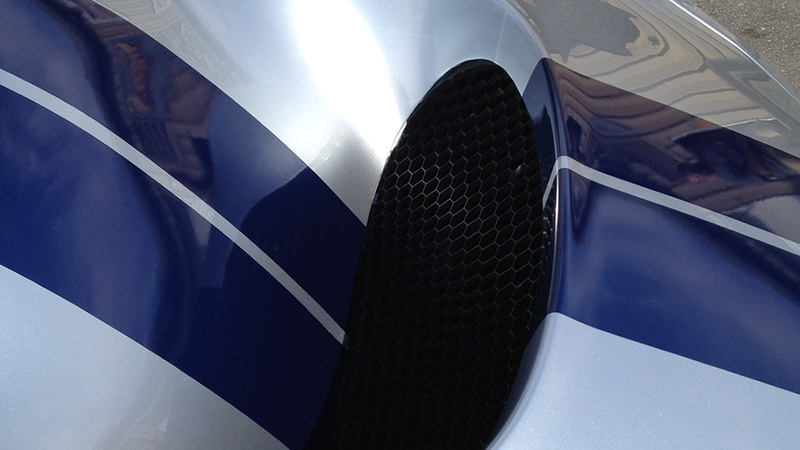 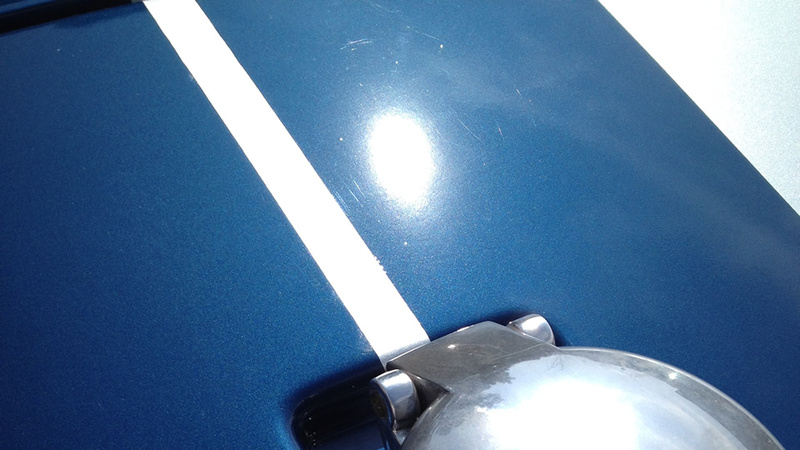 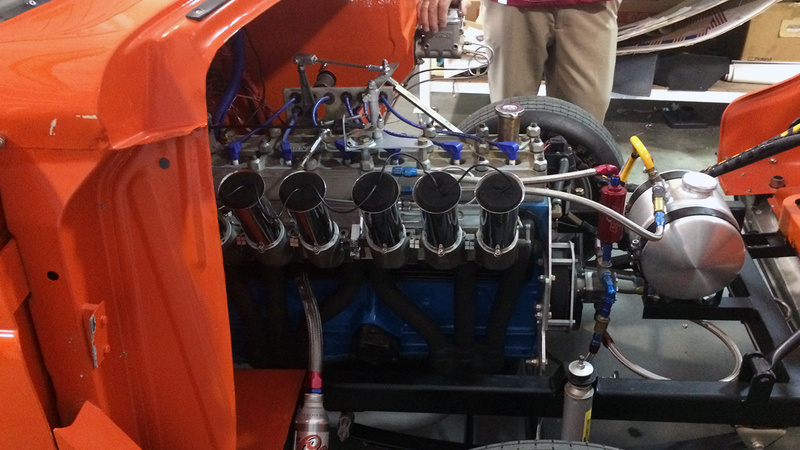 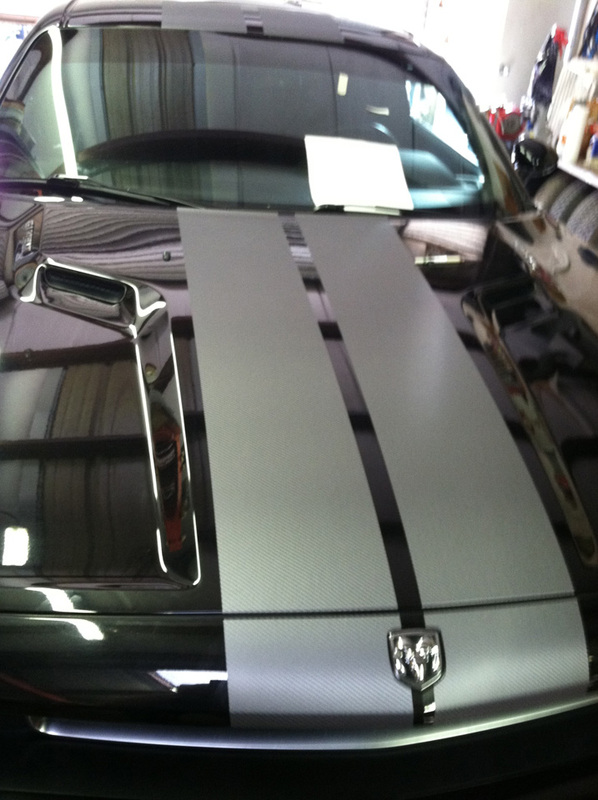 Here’s the rest of the pictures, start to finish, for the Mustang Racing Stripes we mentioned yesterday. 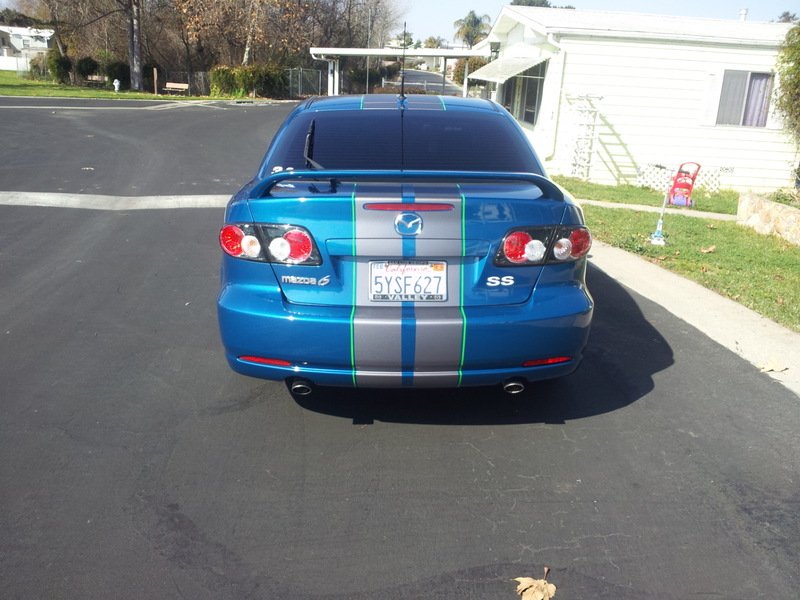 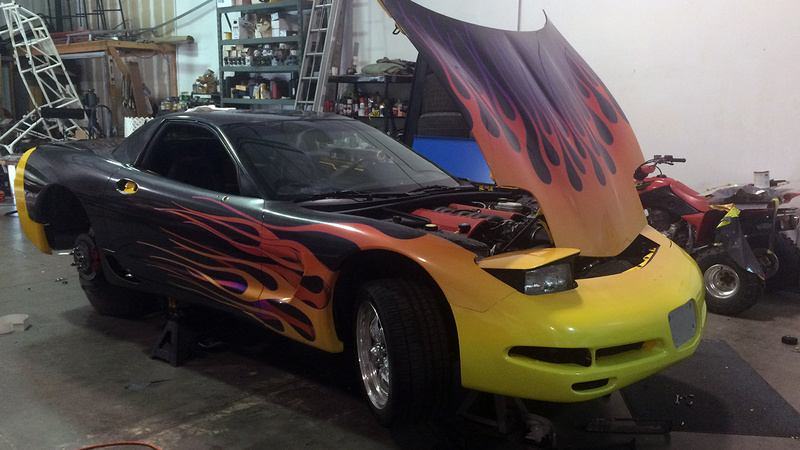 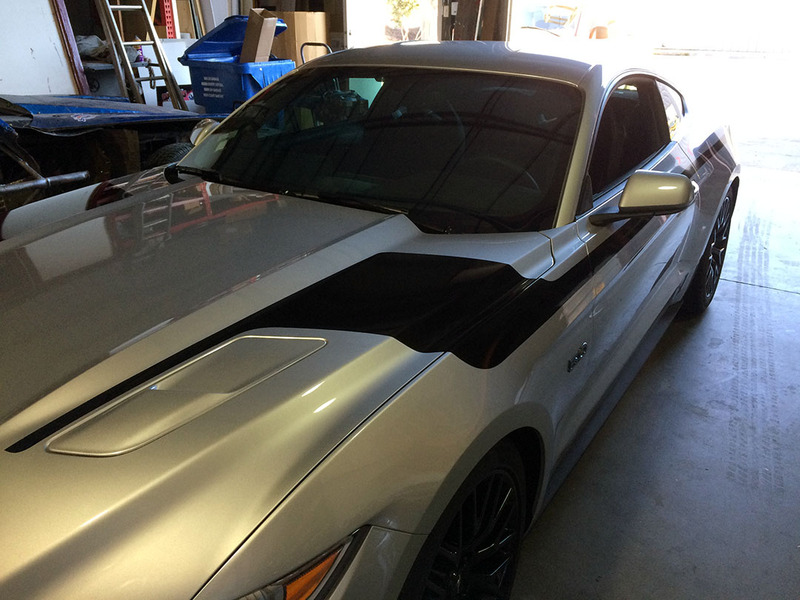 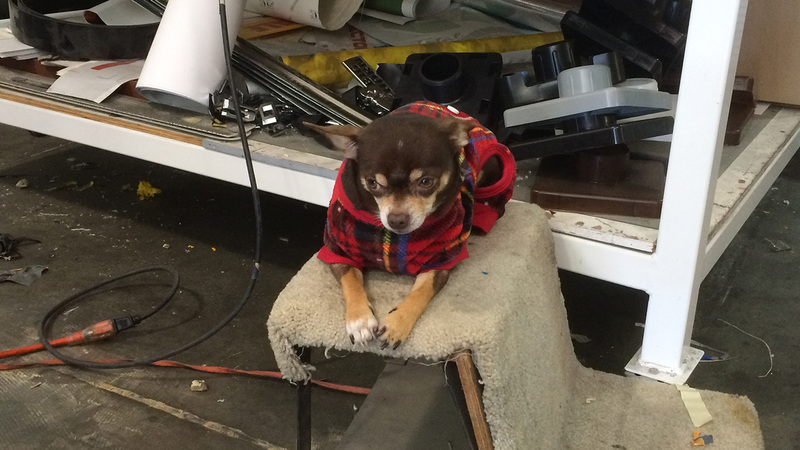 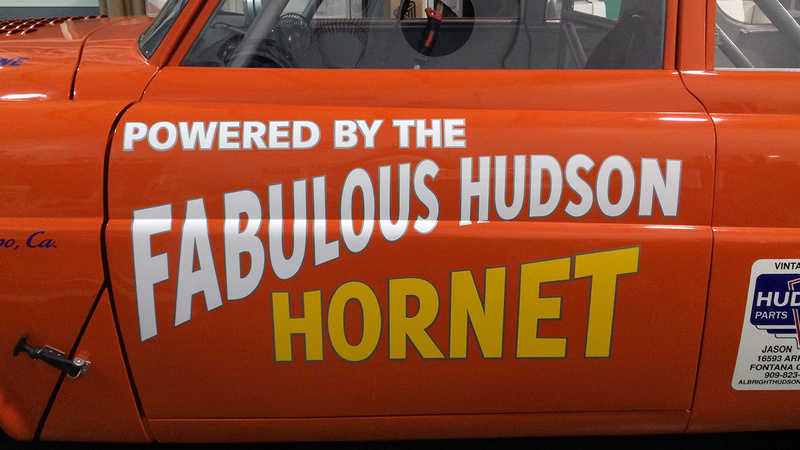 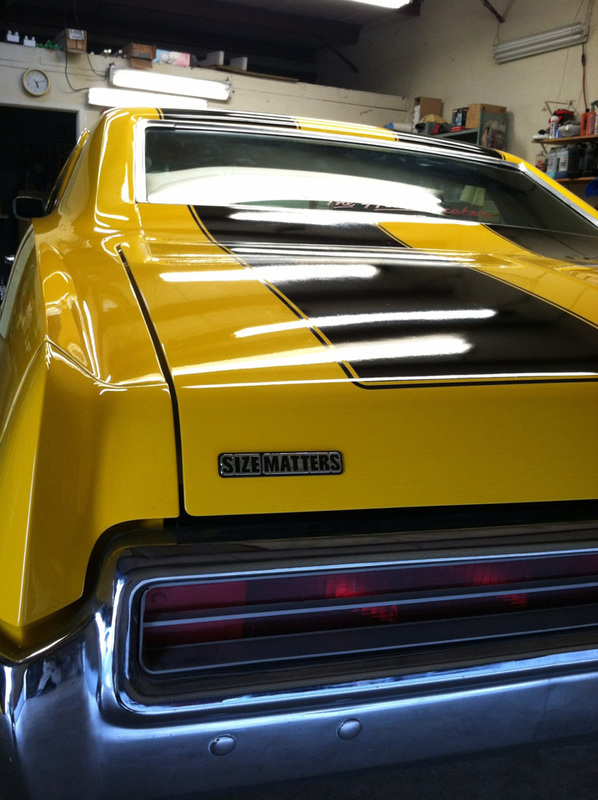 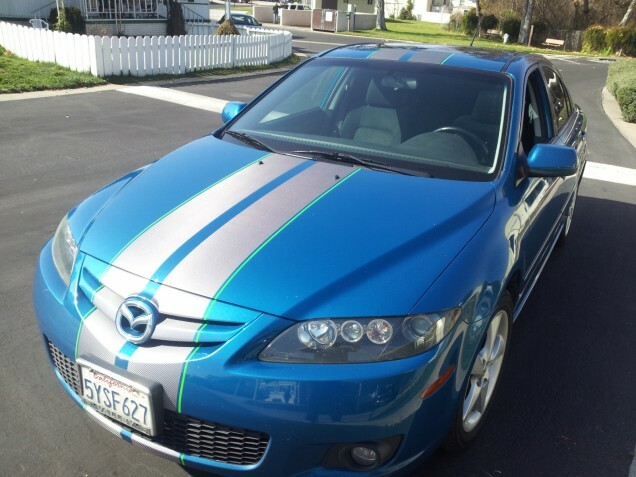 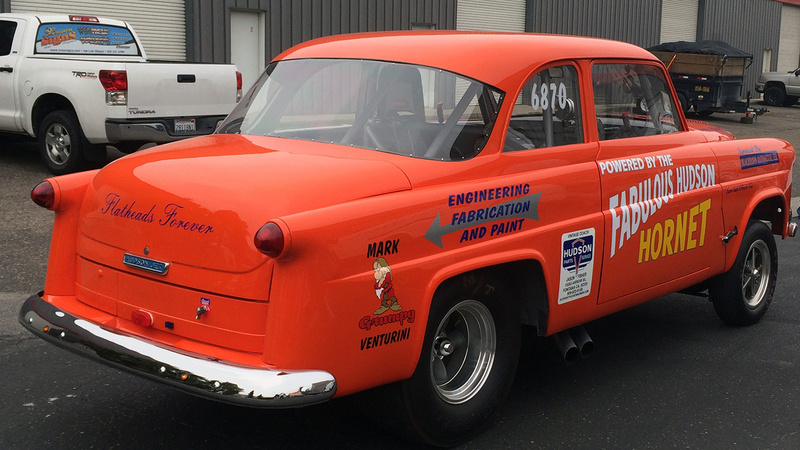 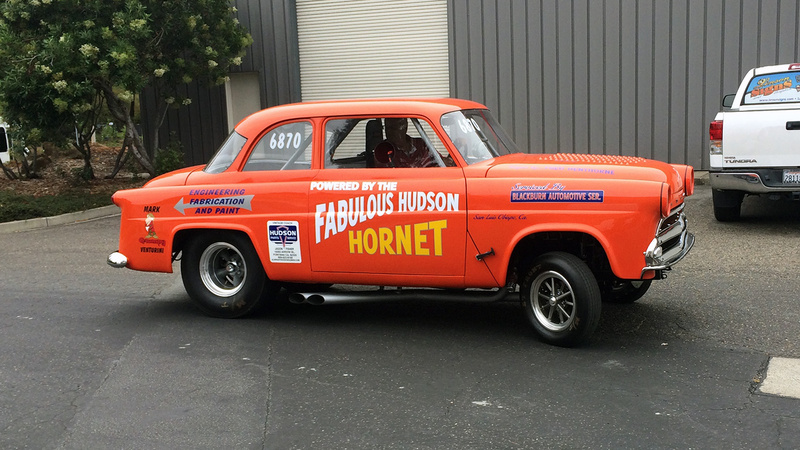 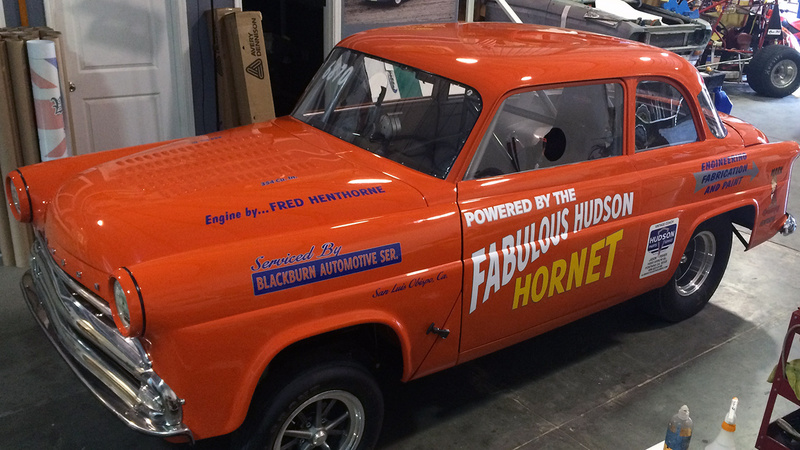 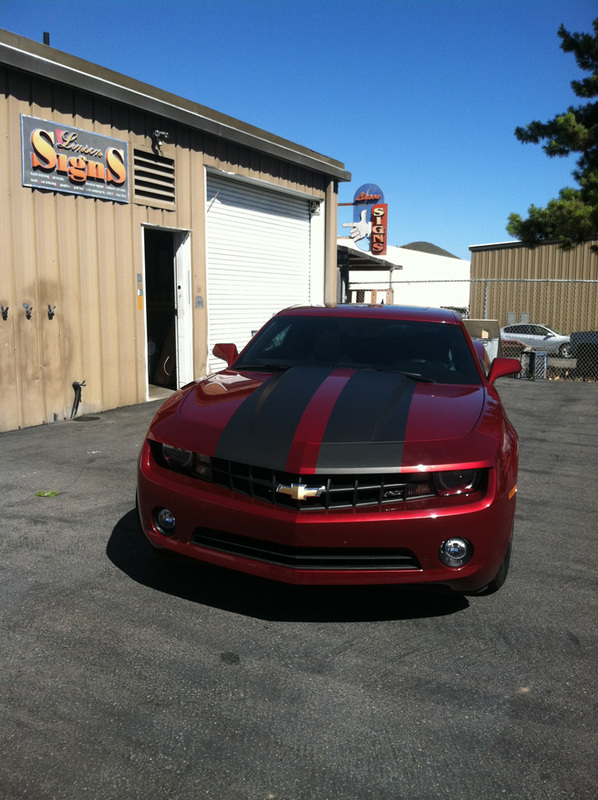 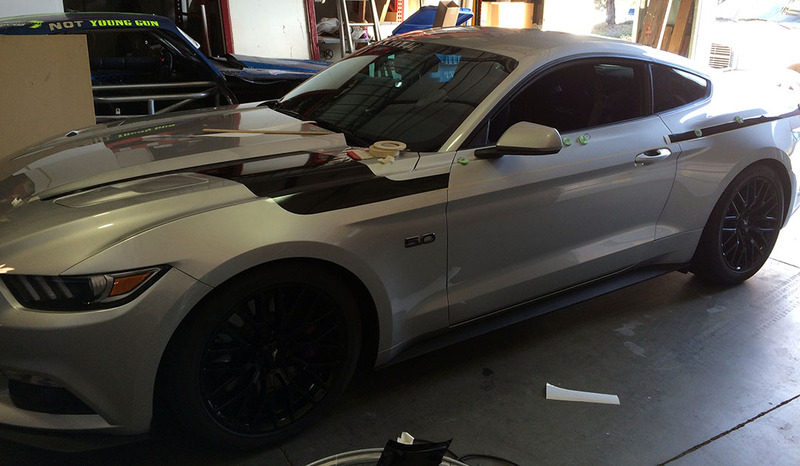 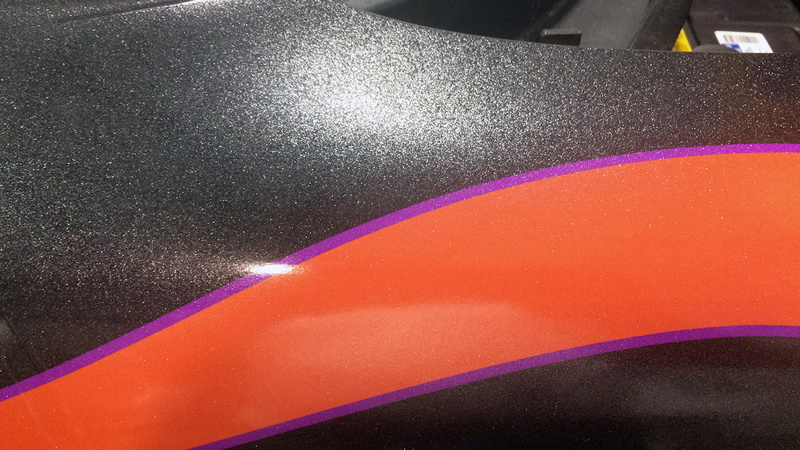 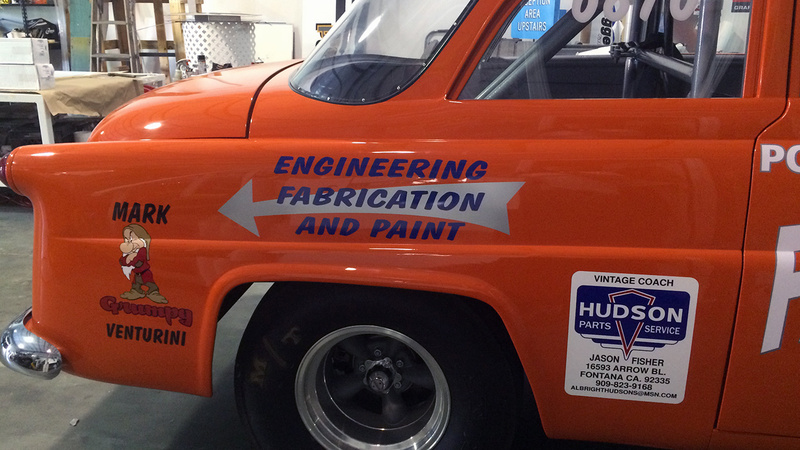 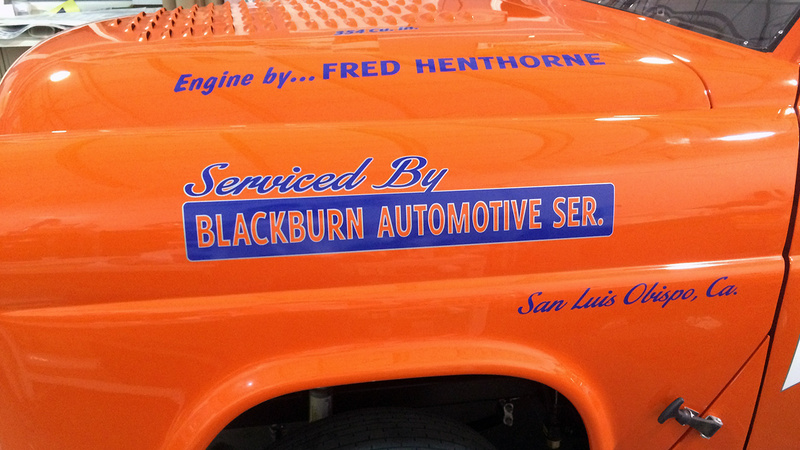 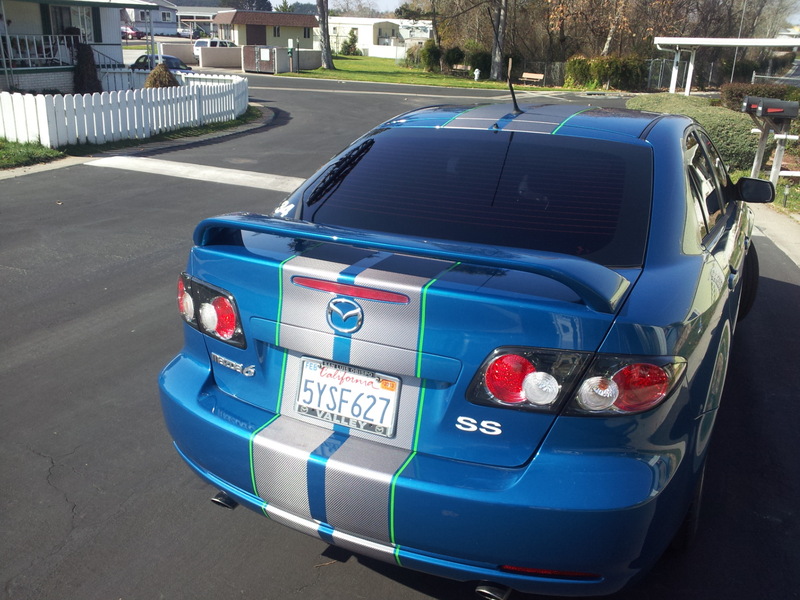 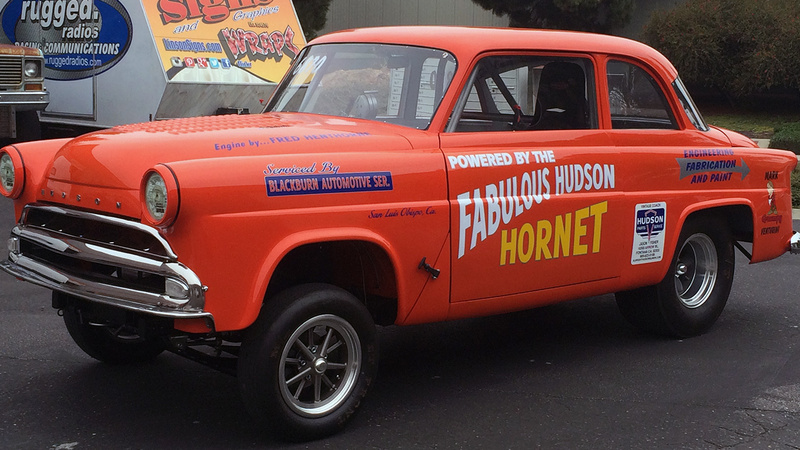 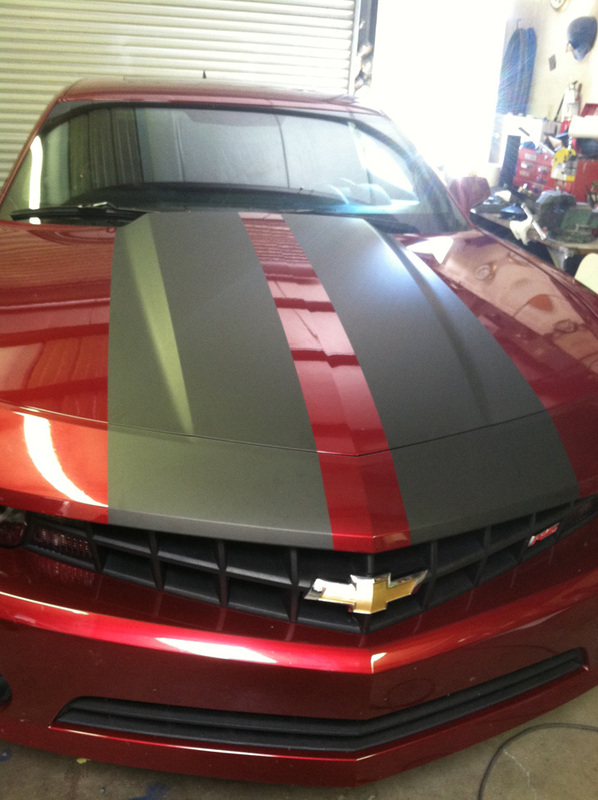 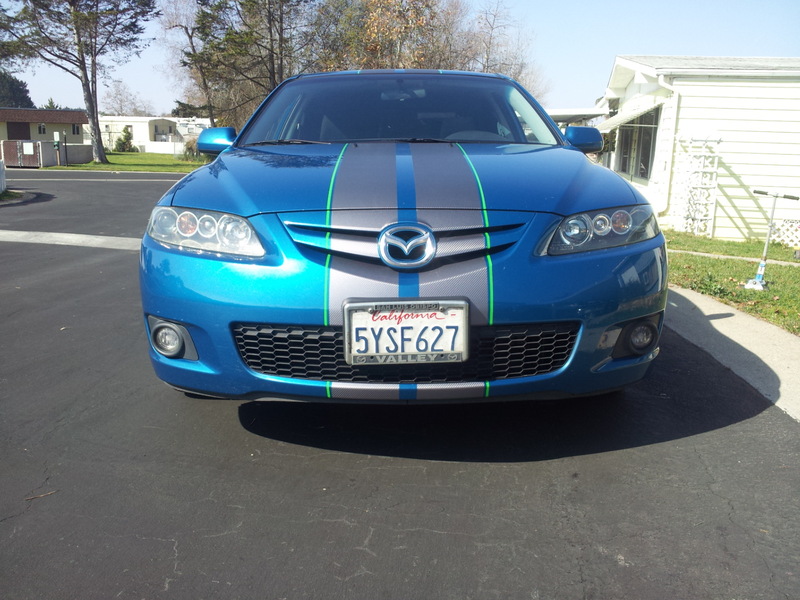 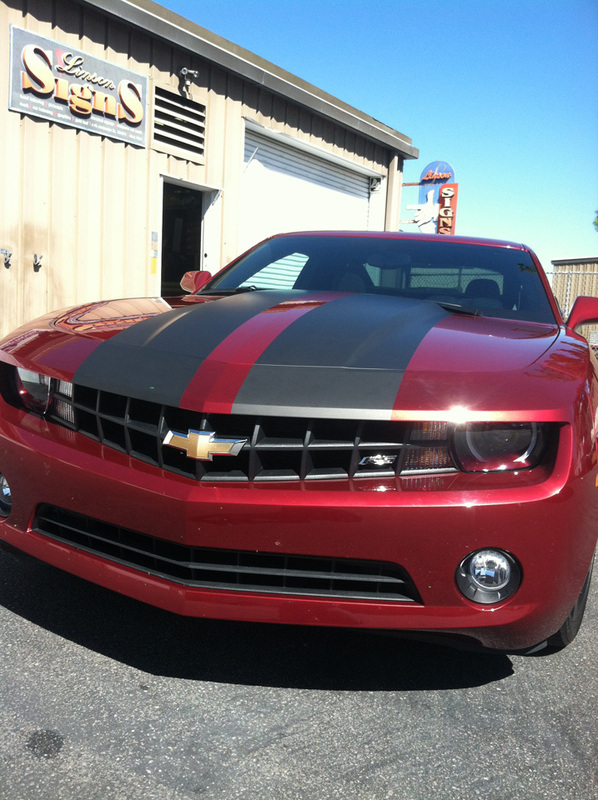 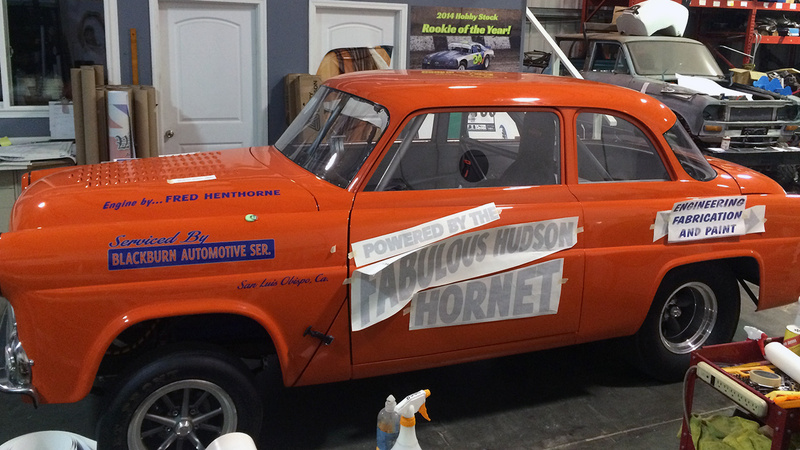 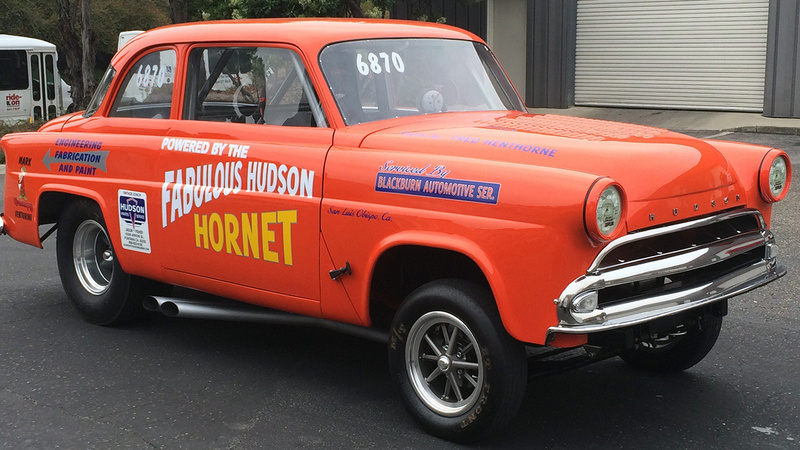 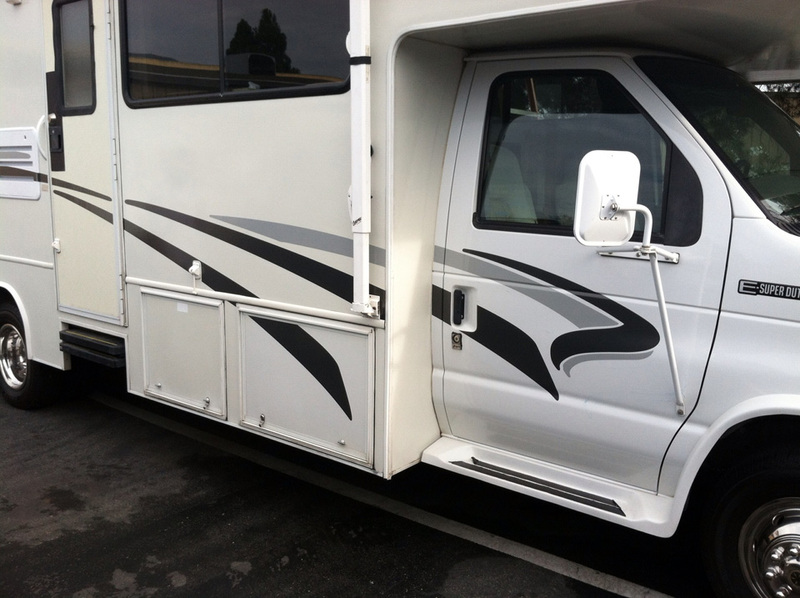 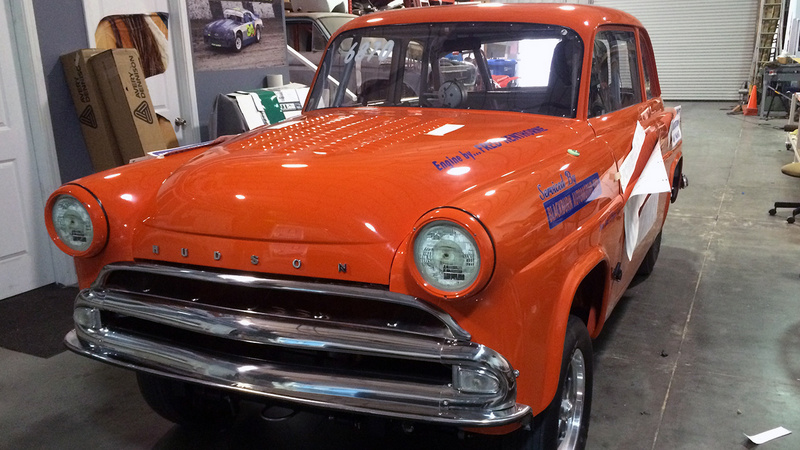 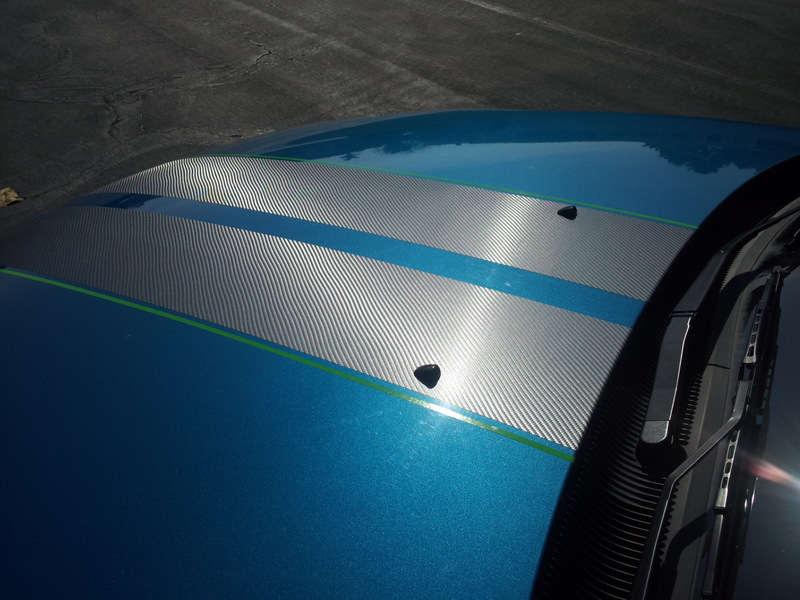 If you’re looking for quality custom racing stripes, look no further! 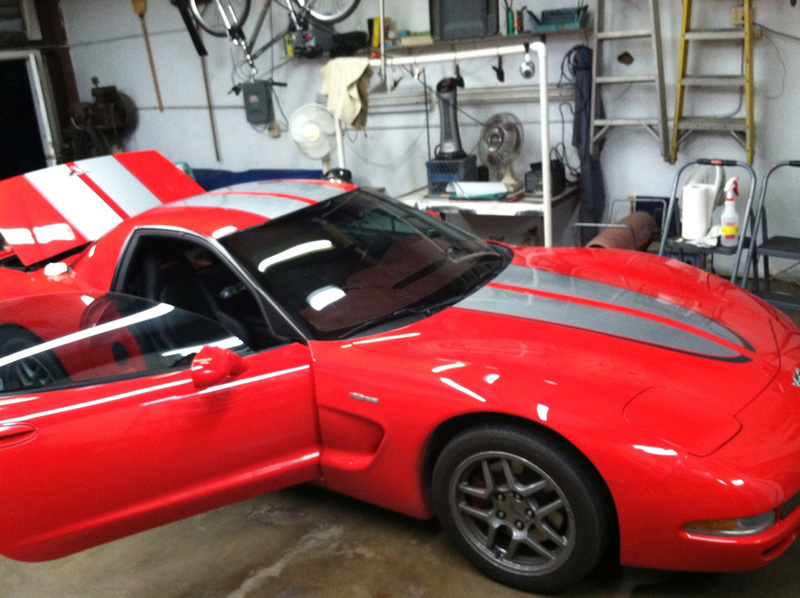 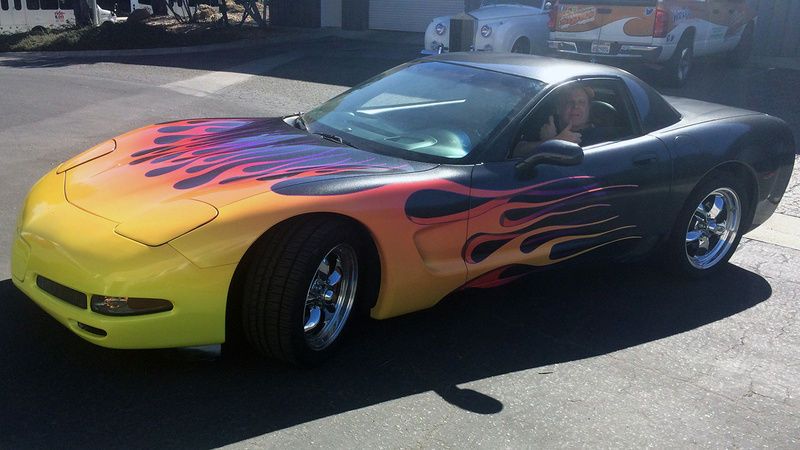 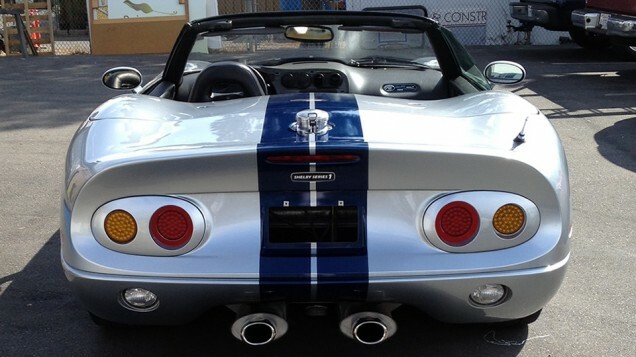 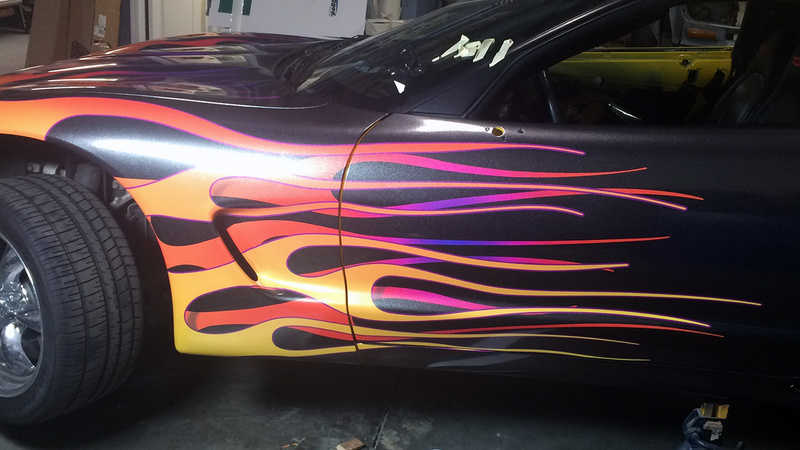 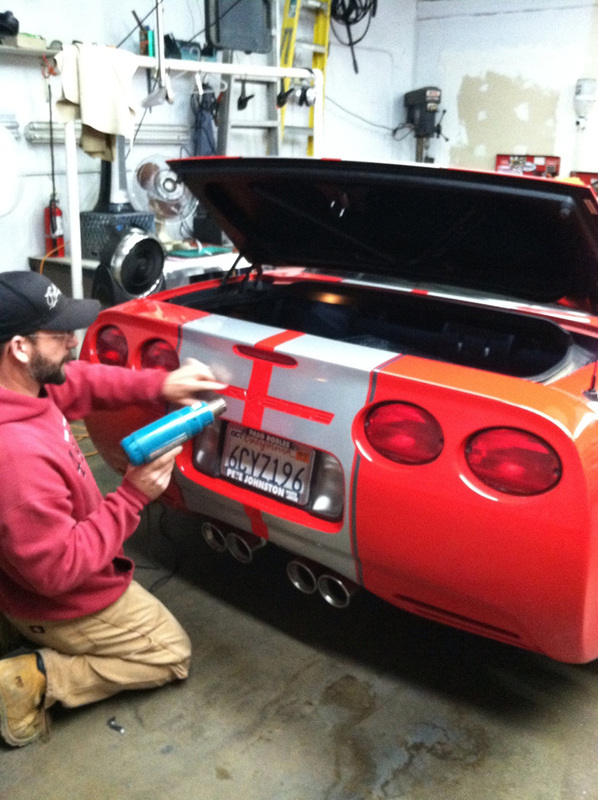 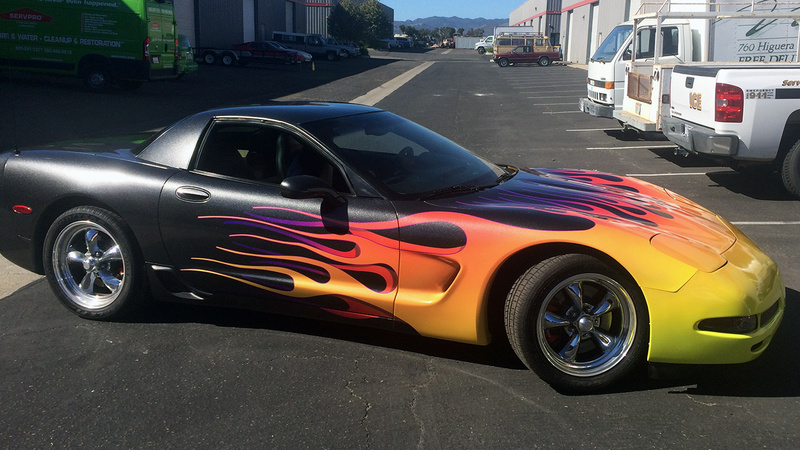 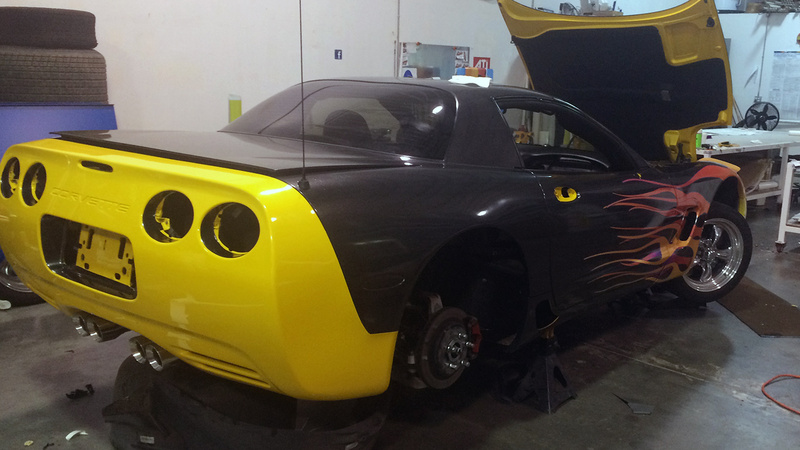 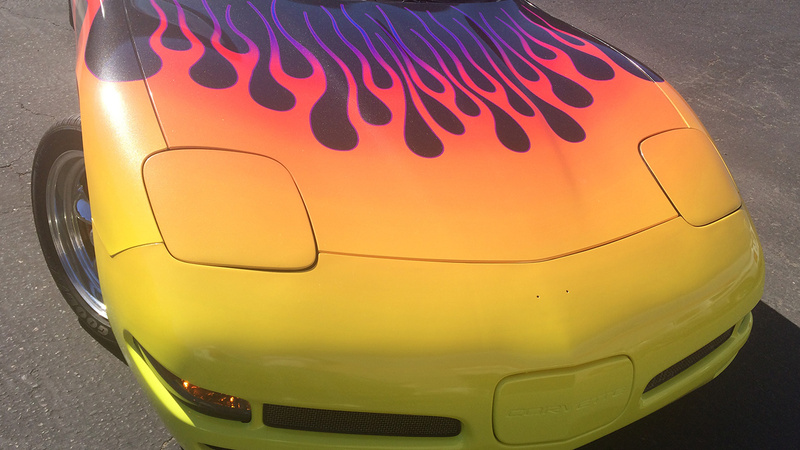 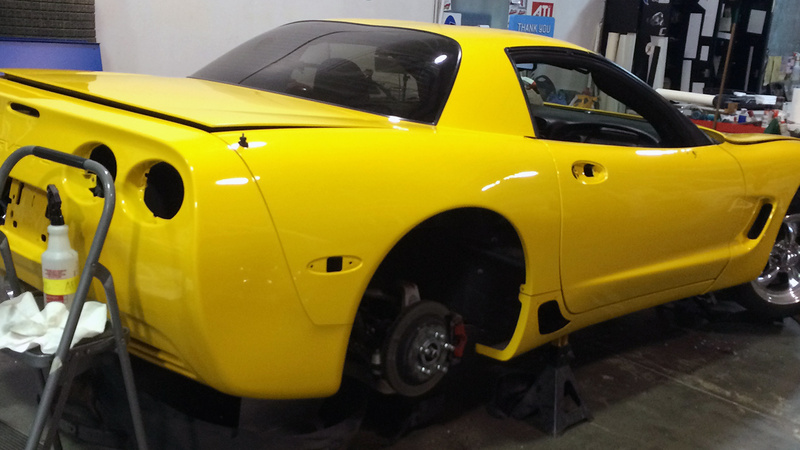 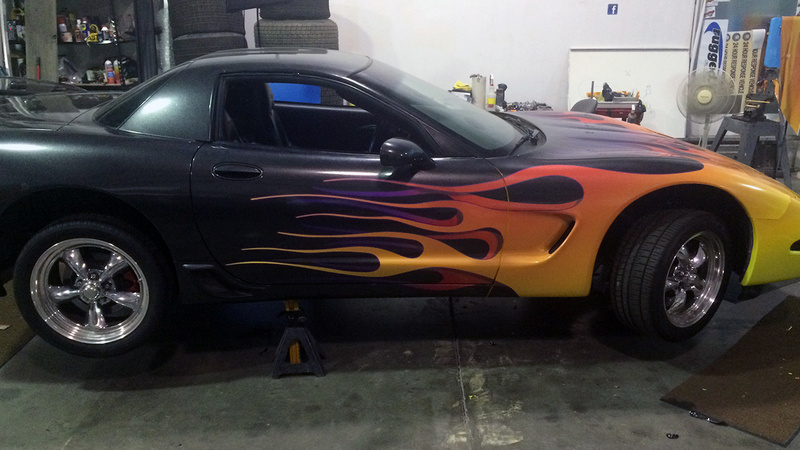 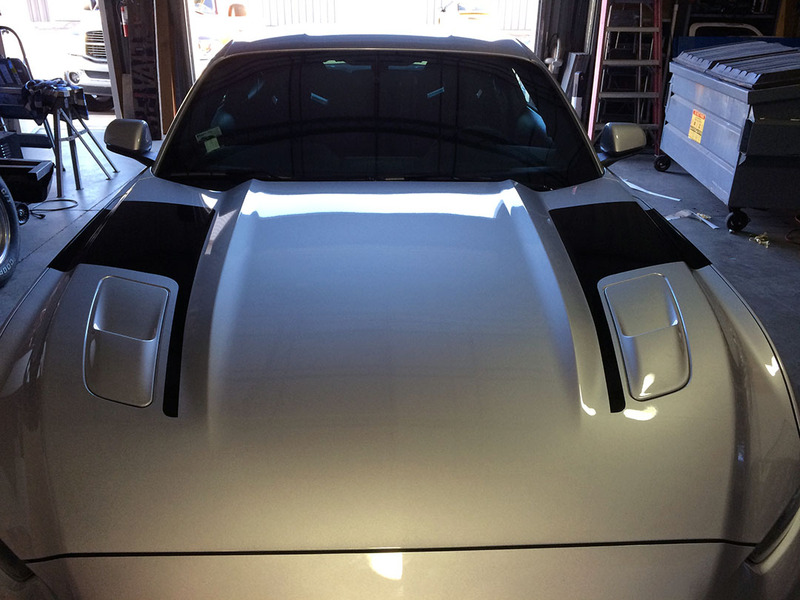 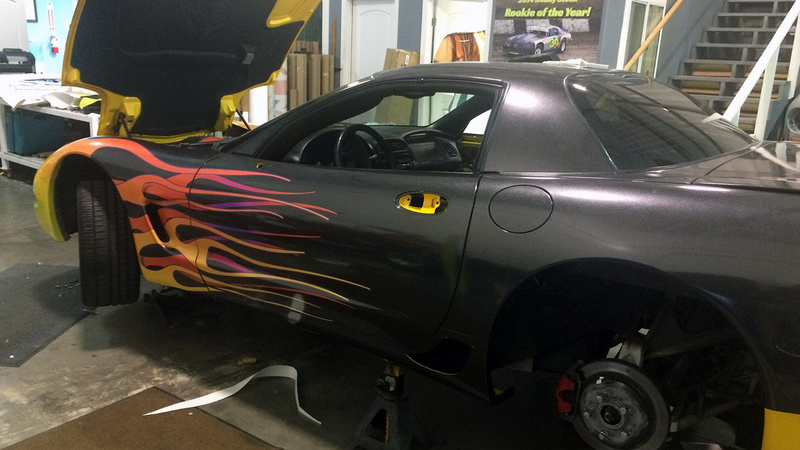 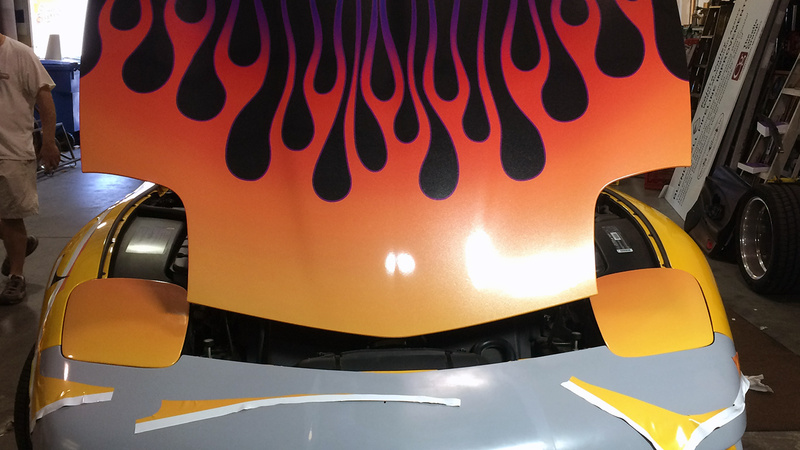 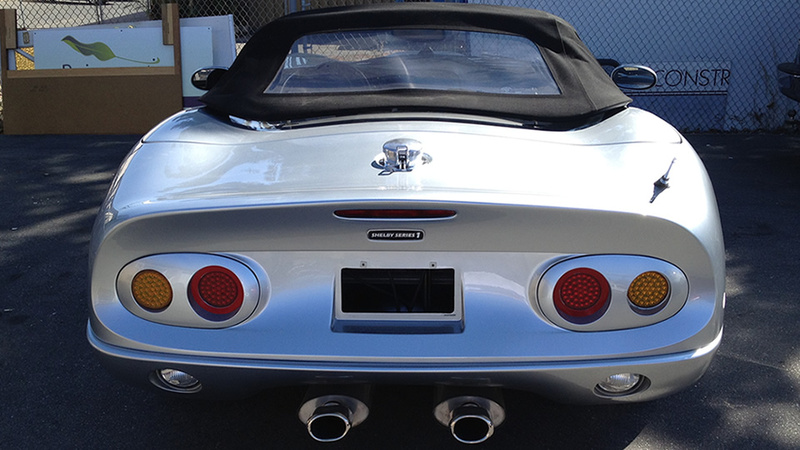 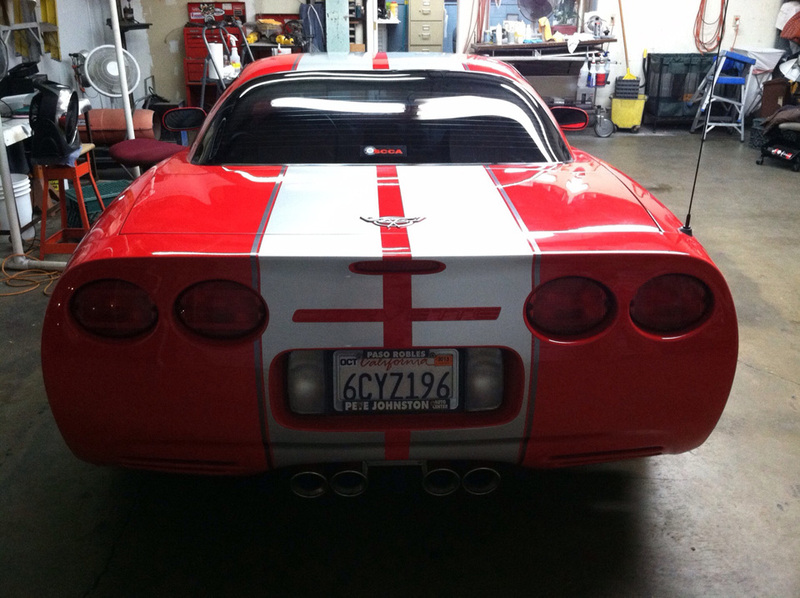 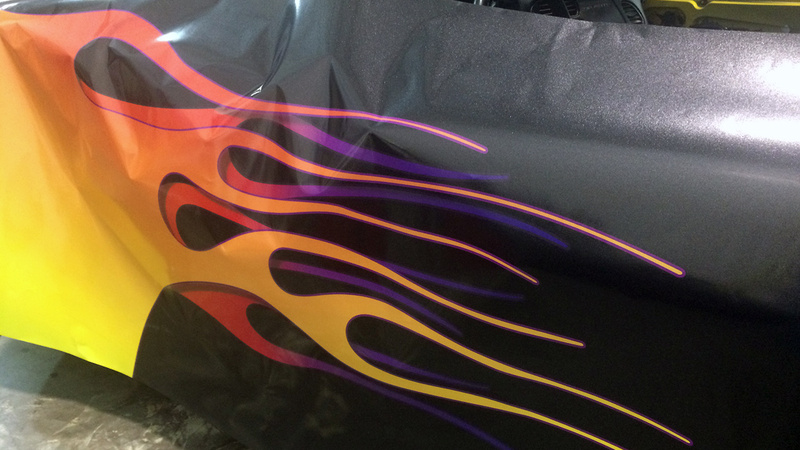 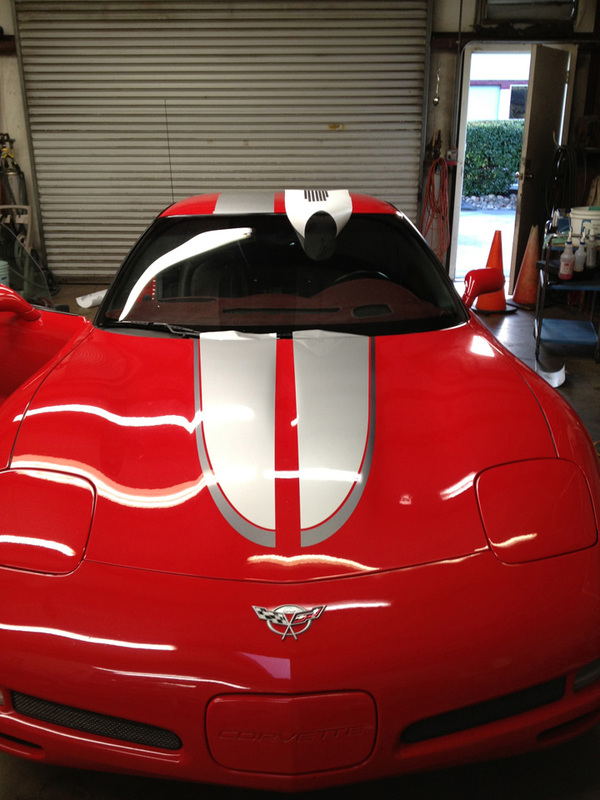 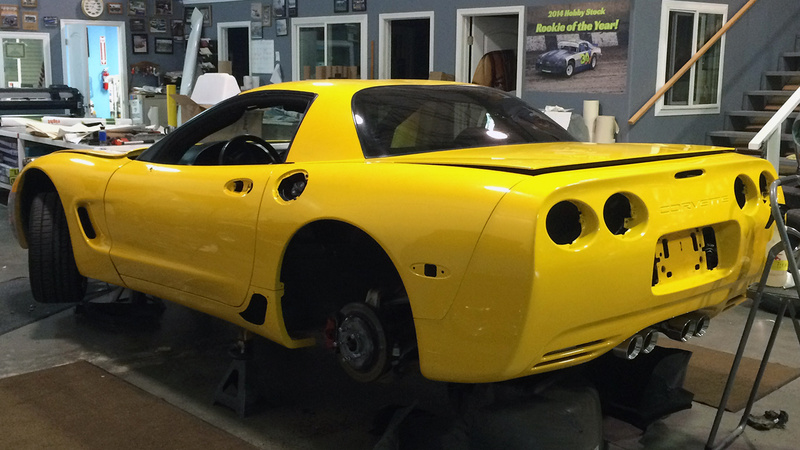 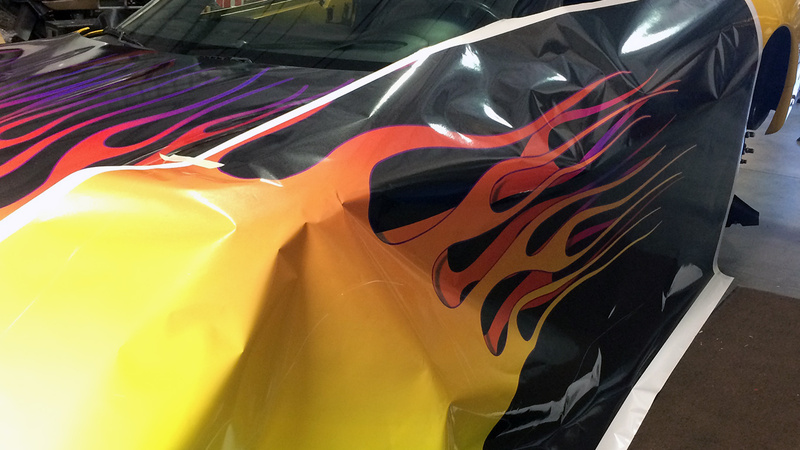 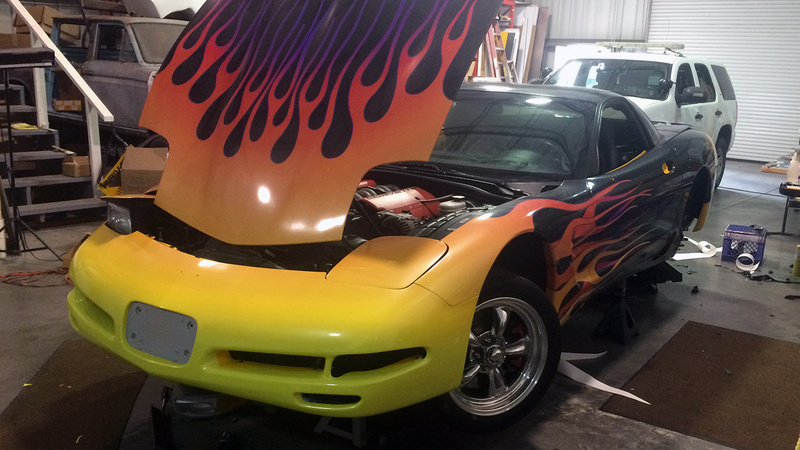 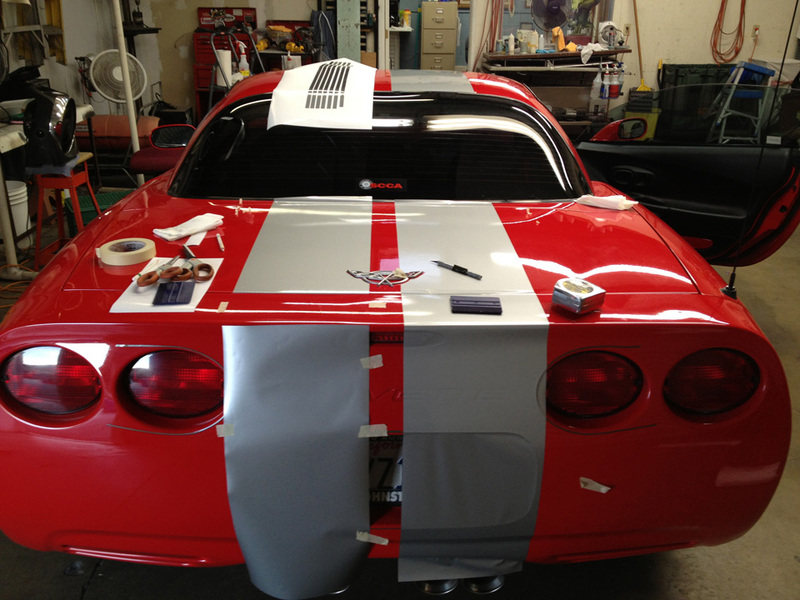 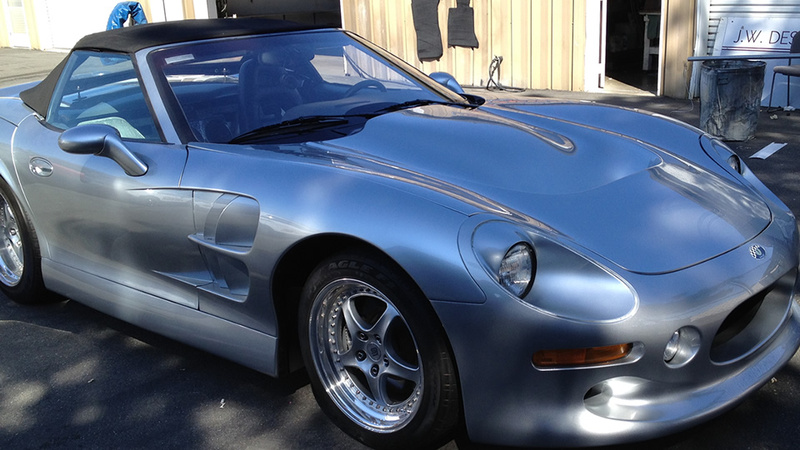 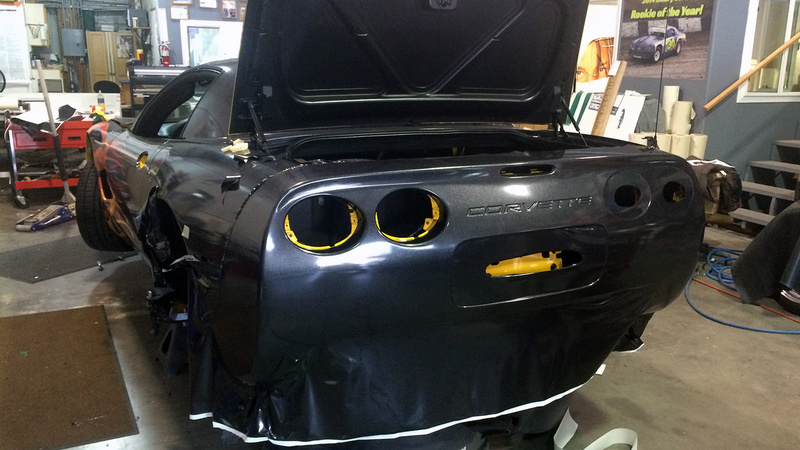 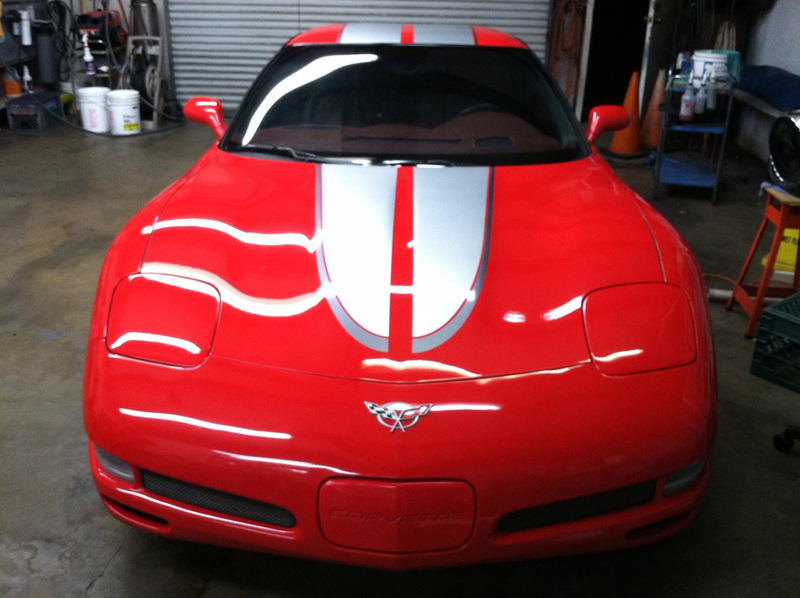 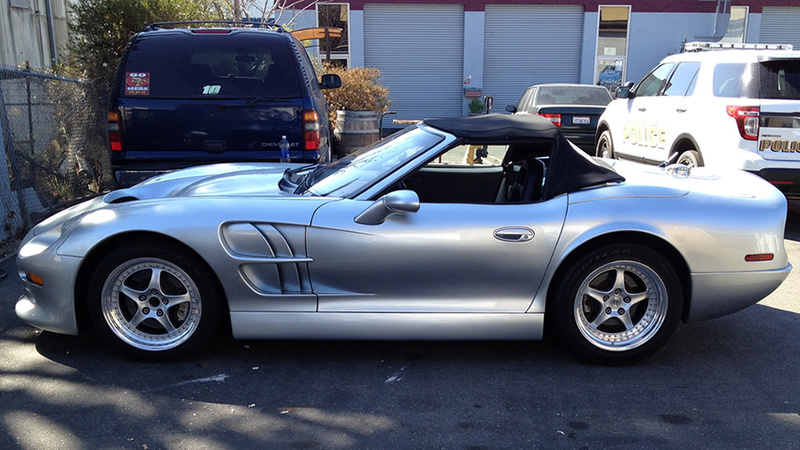 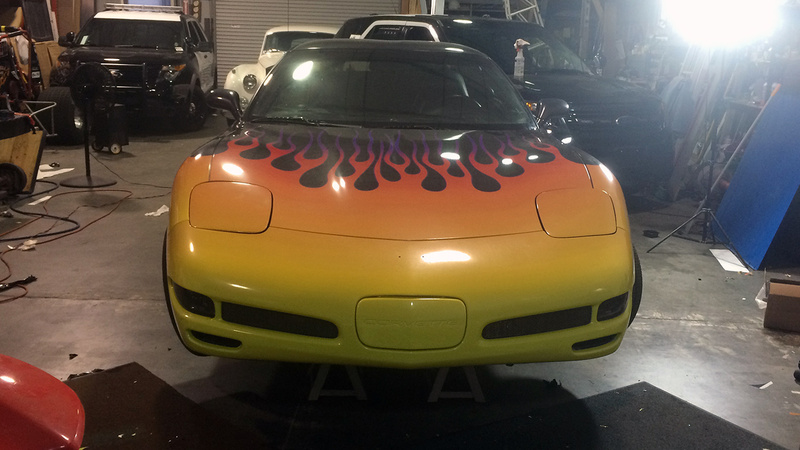 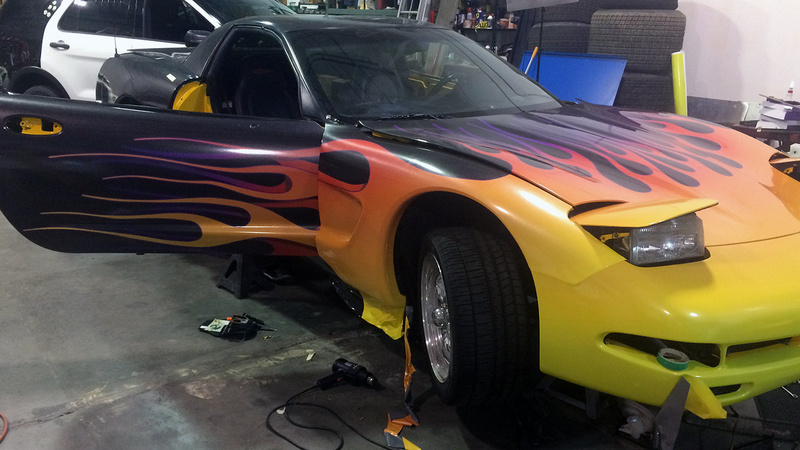 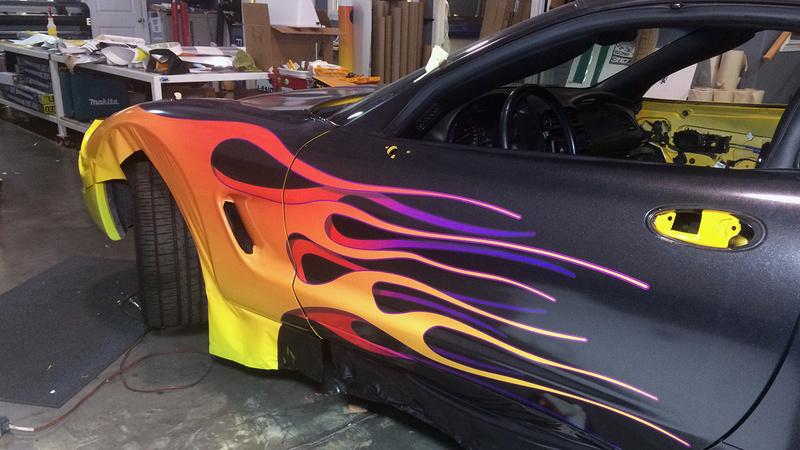 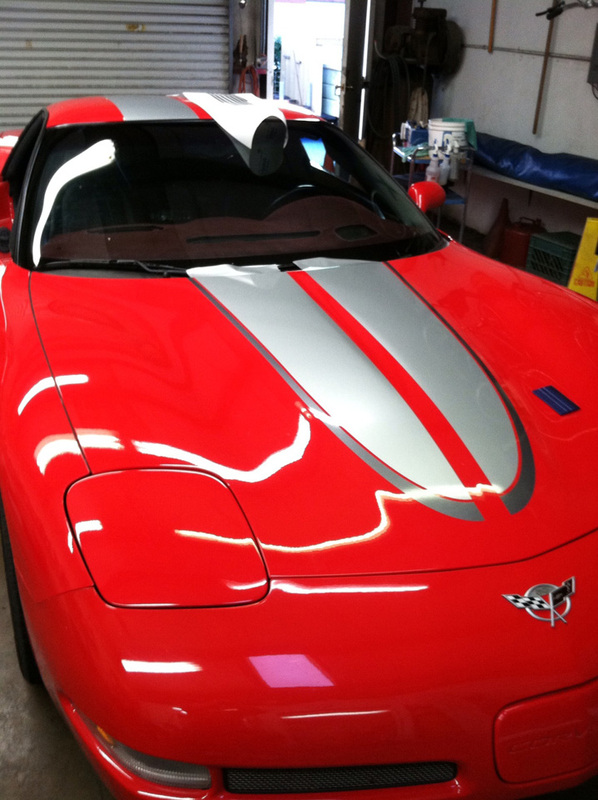 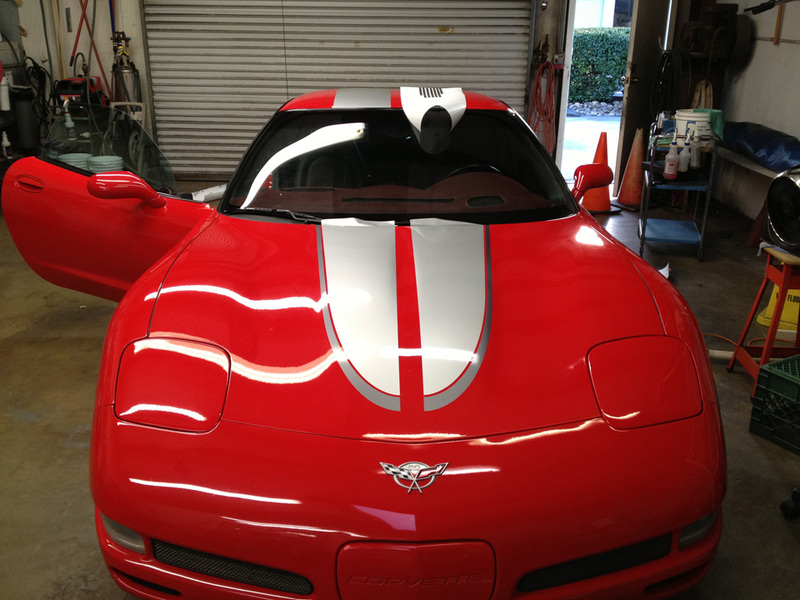 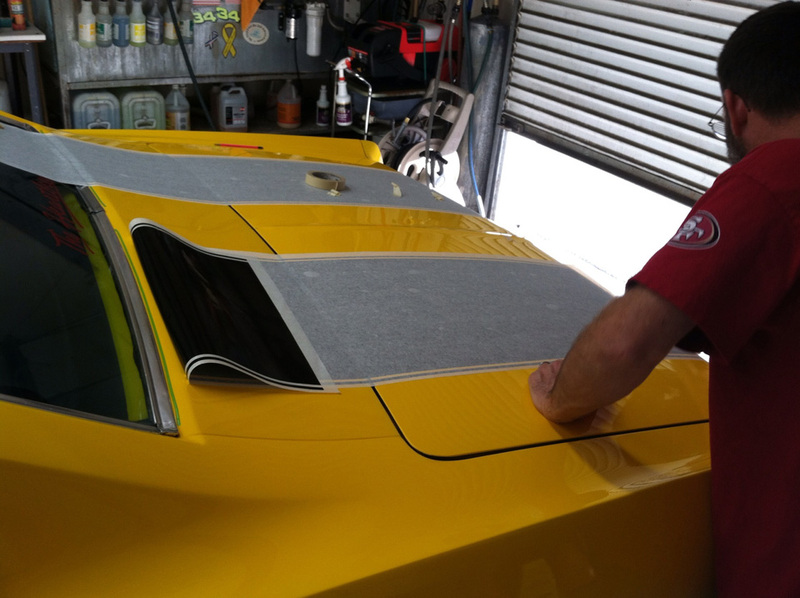 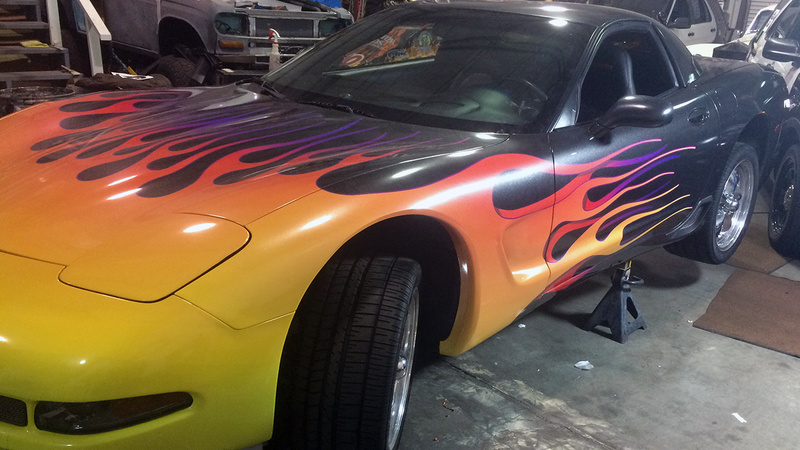 Custom vehicle racing stripes for a beautiful 2003 50th anniversary Corvette. 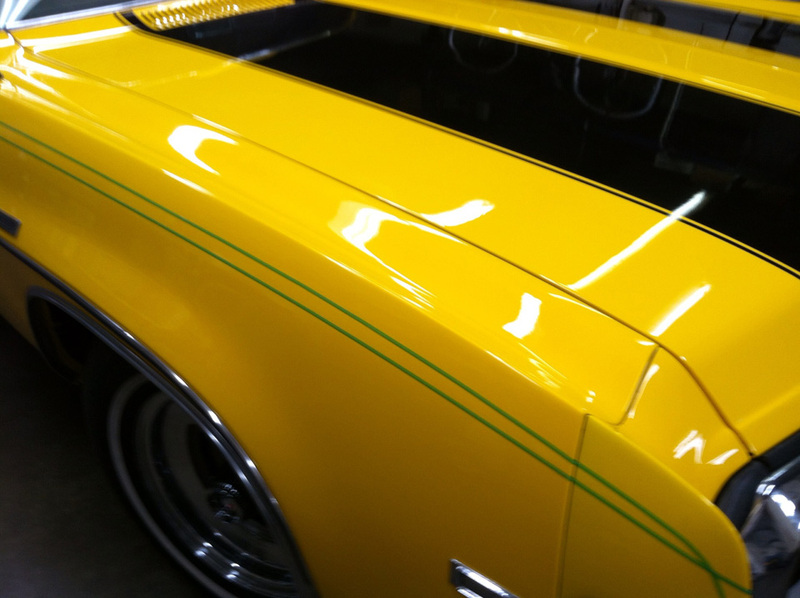 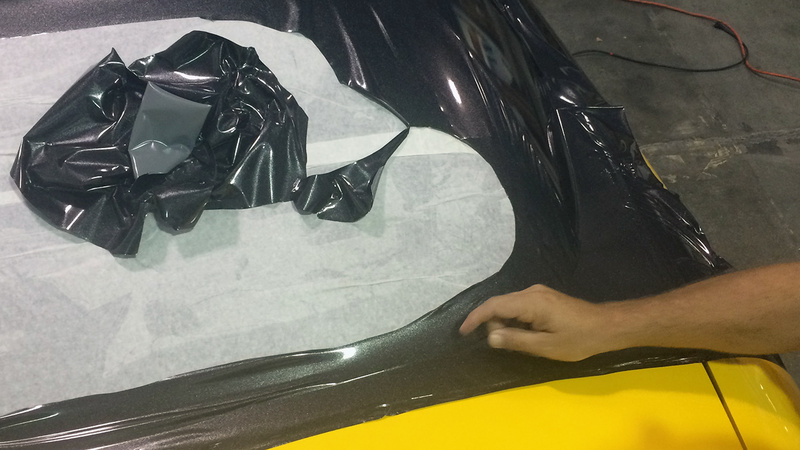 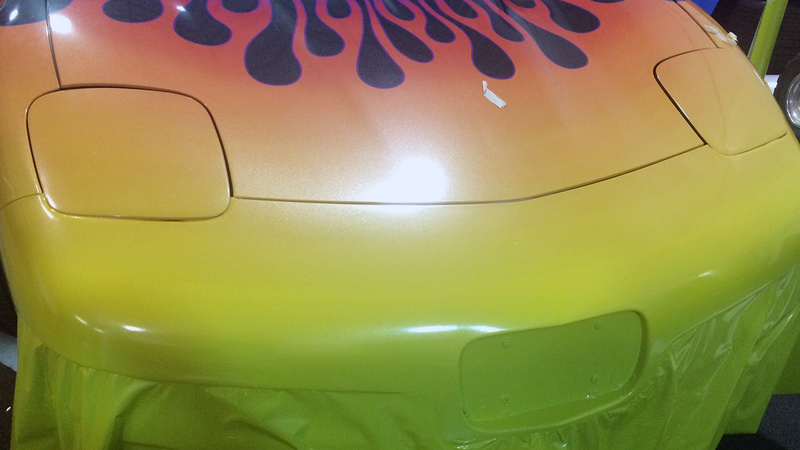 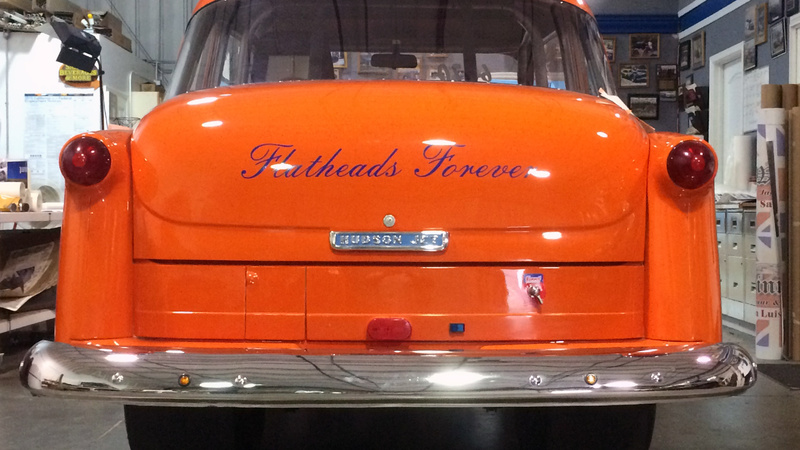 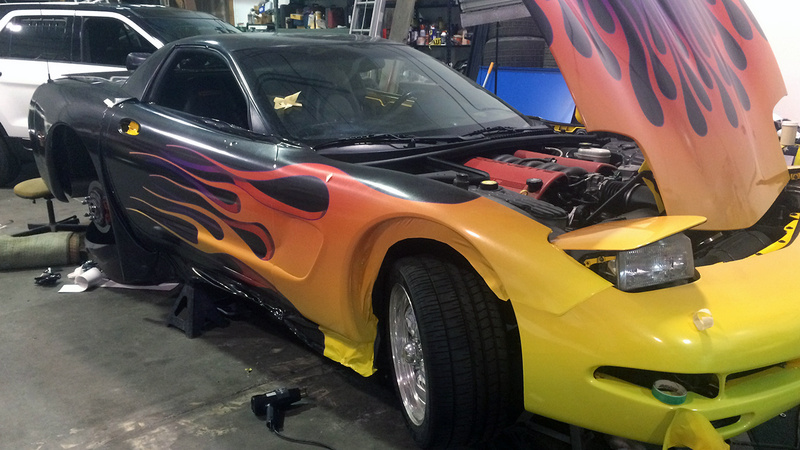 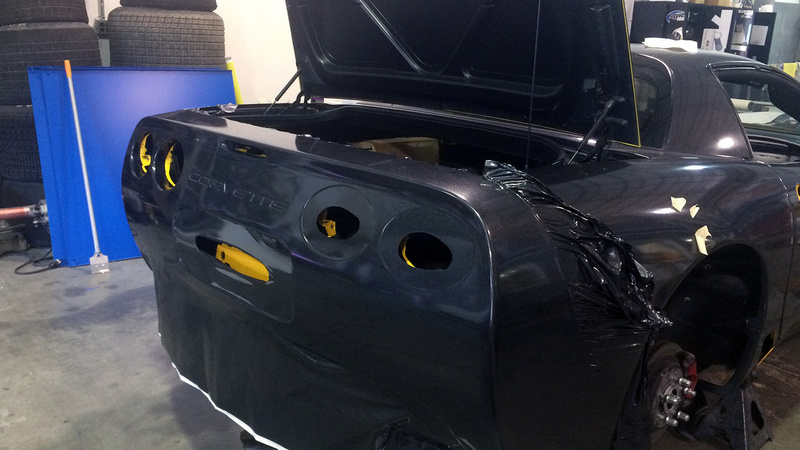 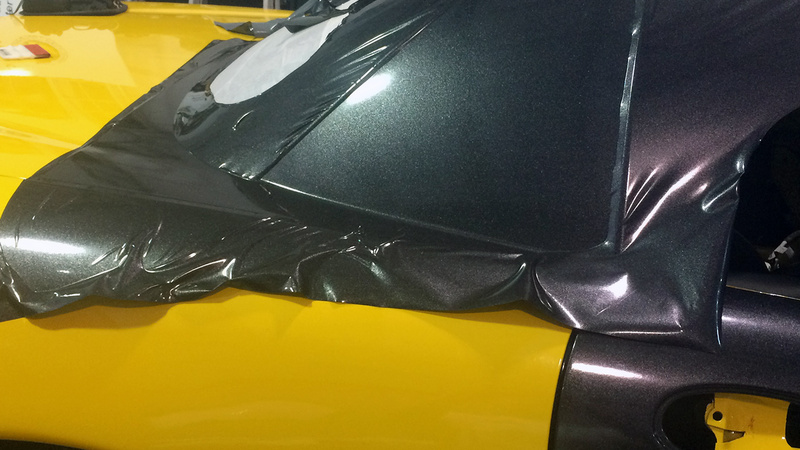 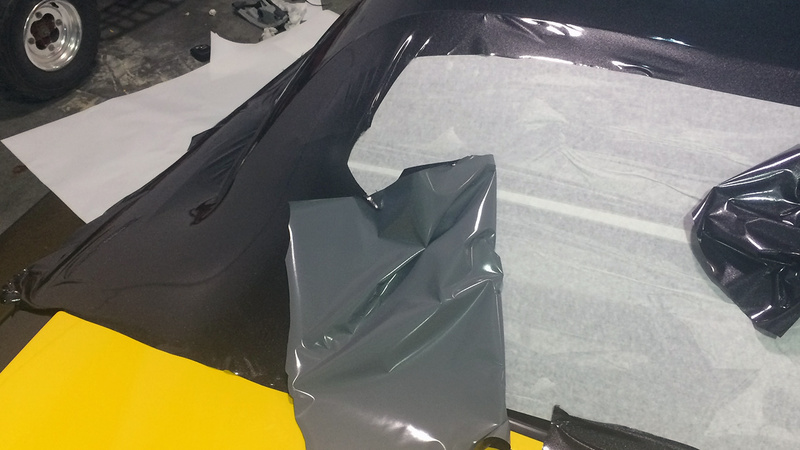 Utilizing two different colored cut vinyl applied to the hood, roof, trunk and down the back side of the trunk. 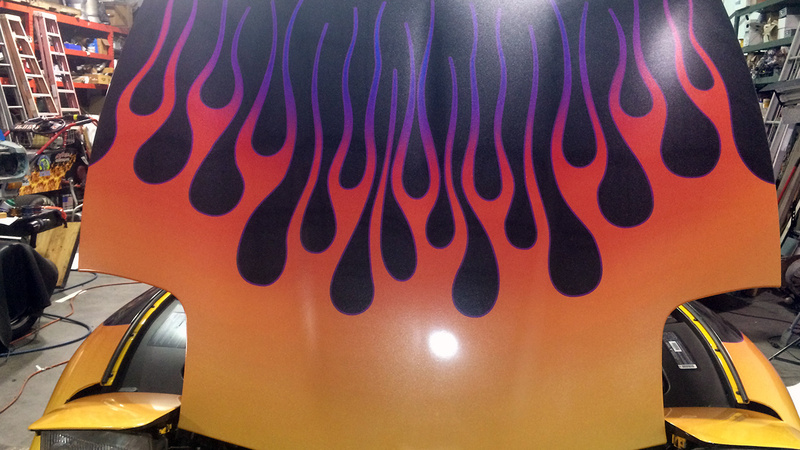 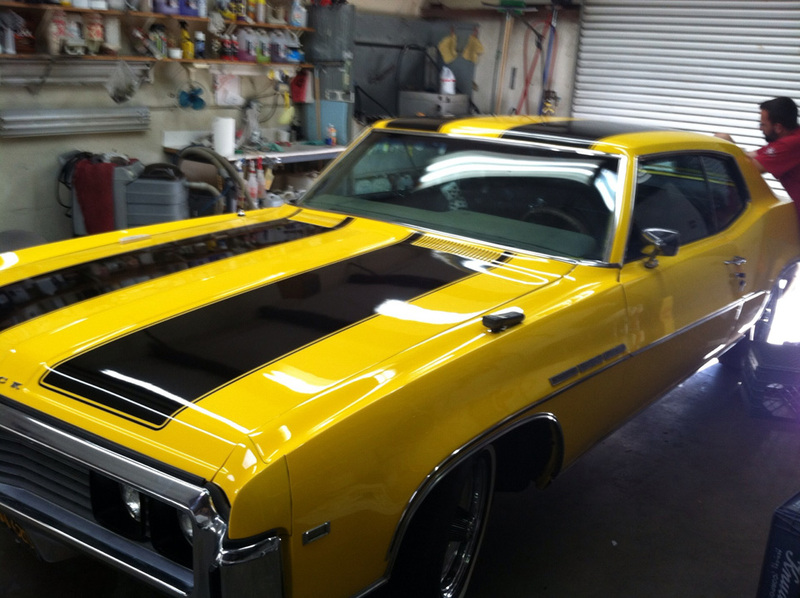 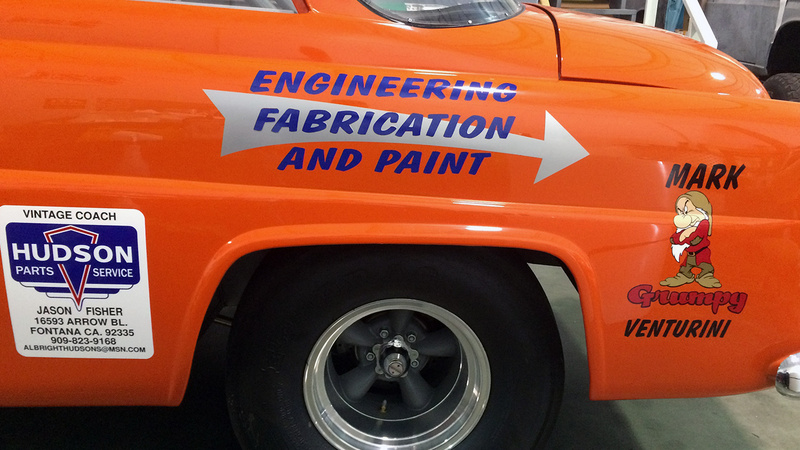 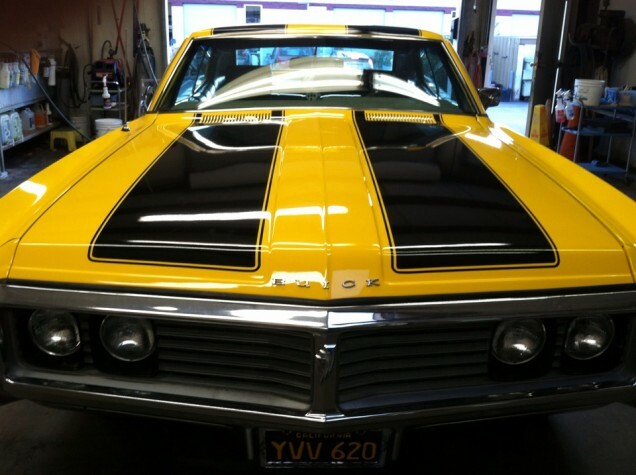 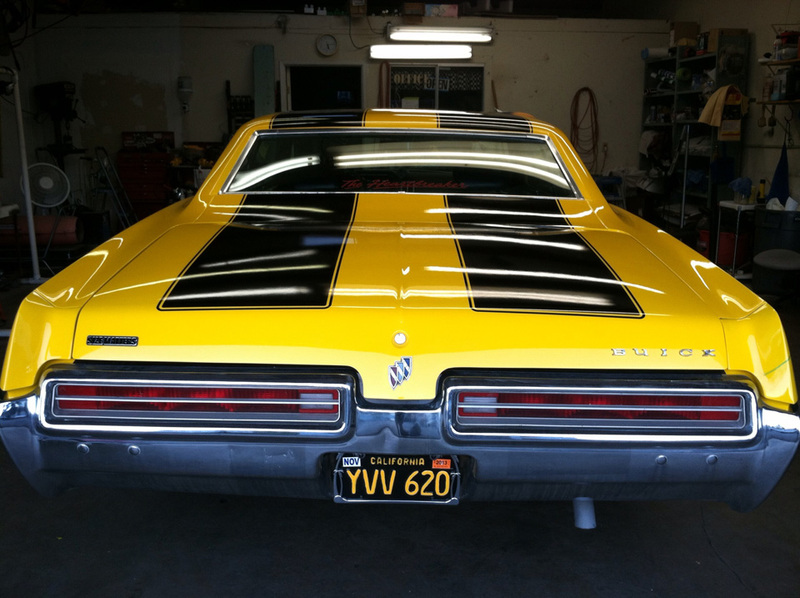 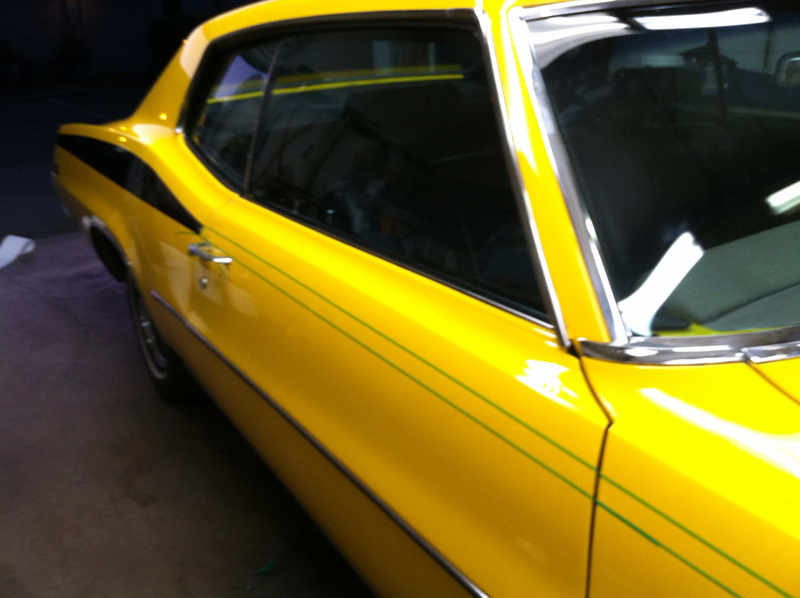 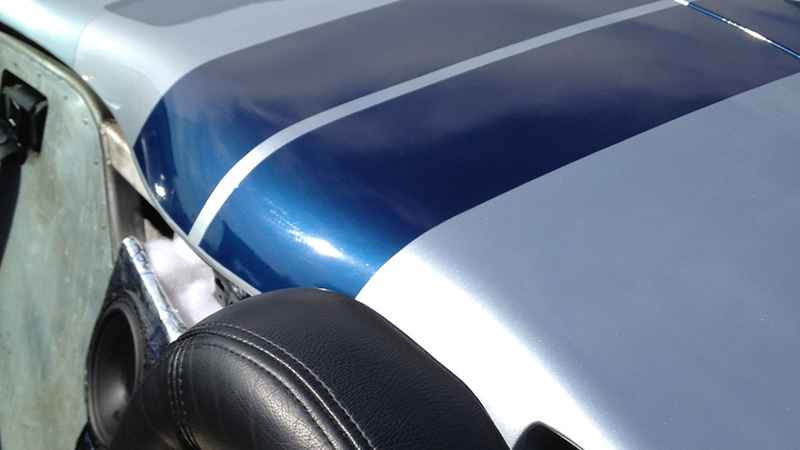 Here’s some vehicle stripes for a 1969 Buick LaSabre. 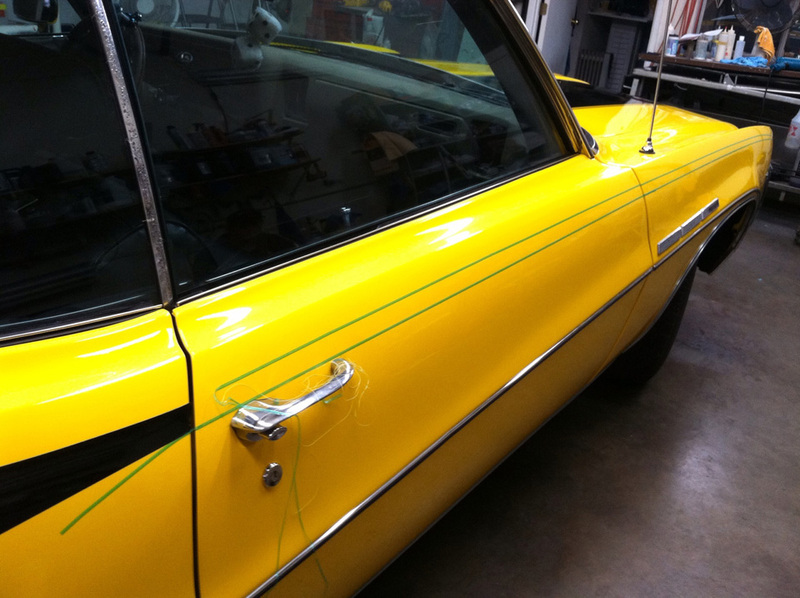 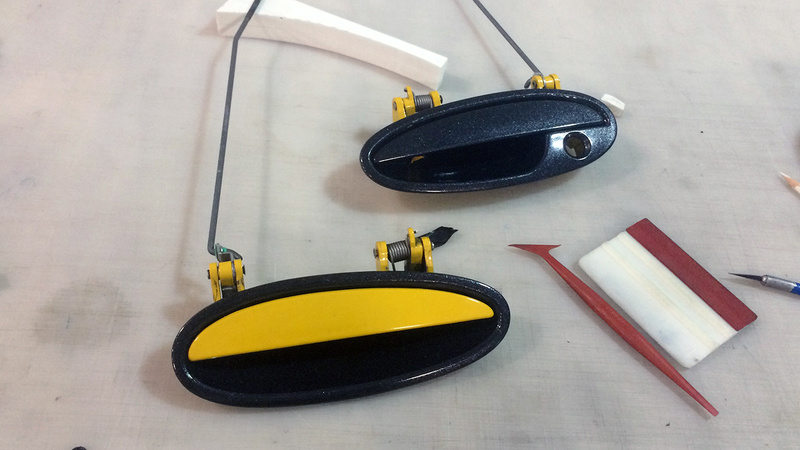 The green lines you see on the side is knifeless tape used to cut the vinyl after application. 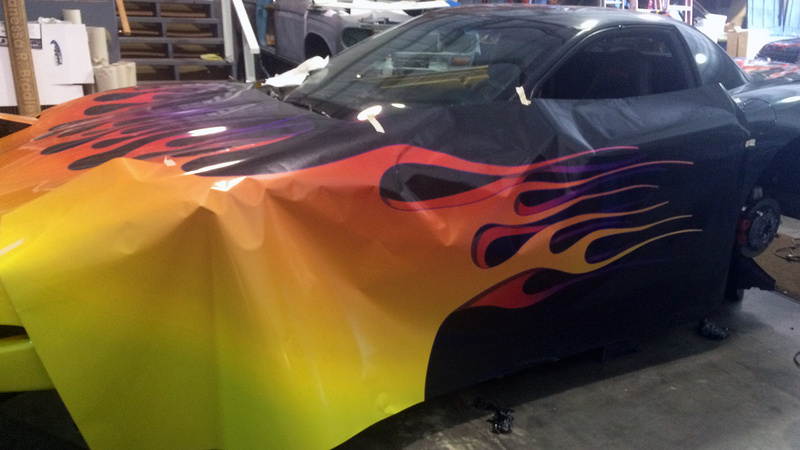 Looks like we’ll need to find a finished picture that includes the sides, we’ll add that later. 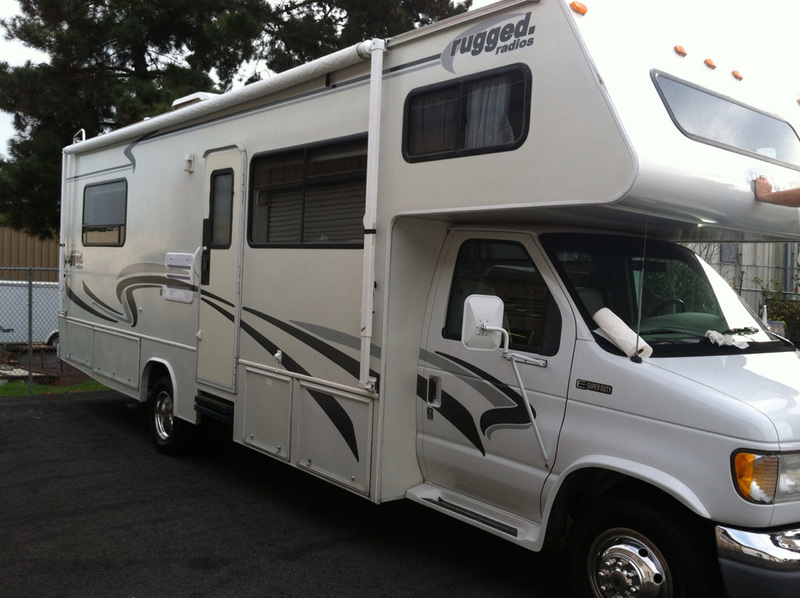 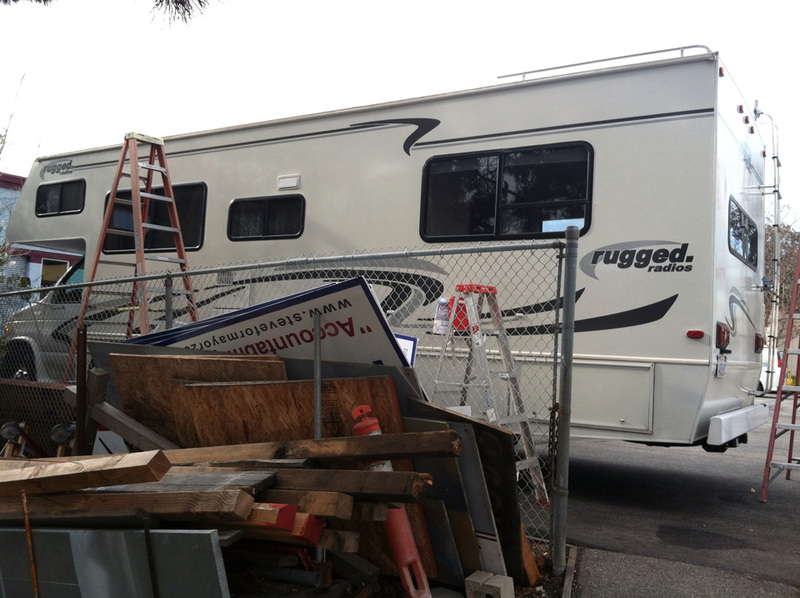 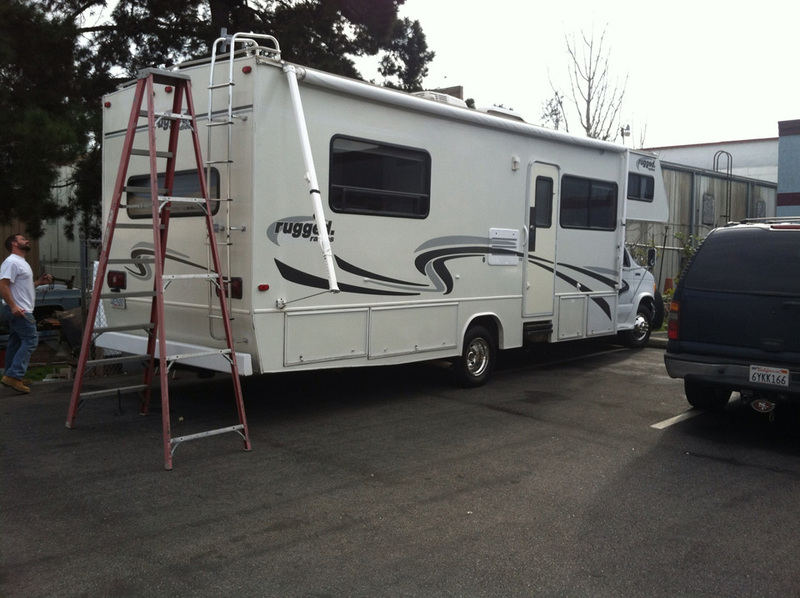 An older camper for Rugged Radios which we had to replicate the original vehicle graphics, remove the old and apply the new vehicle graphics. 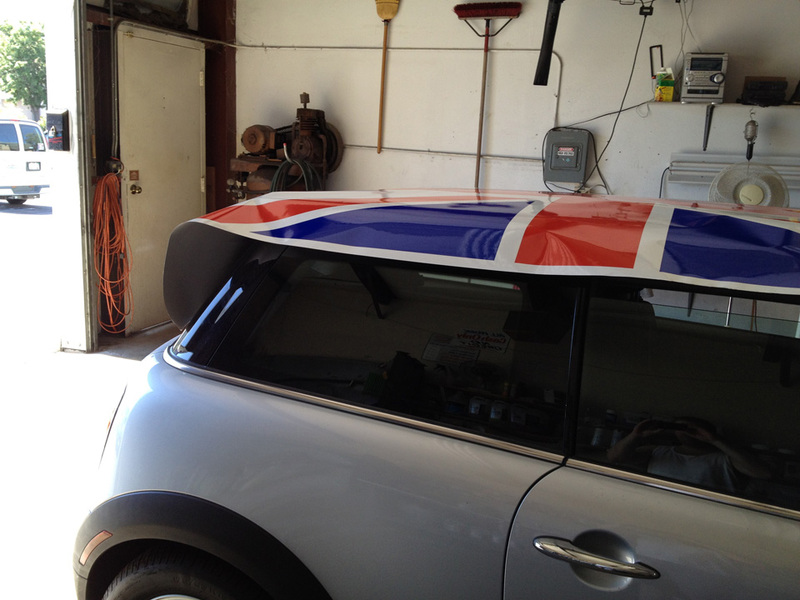 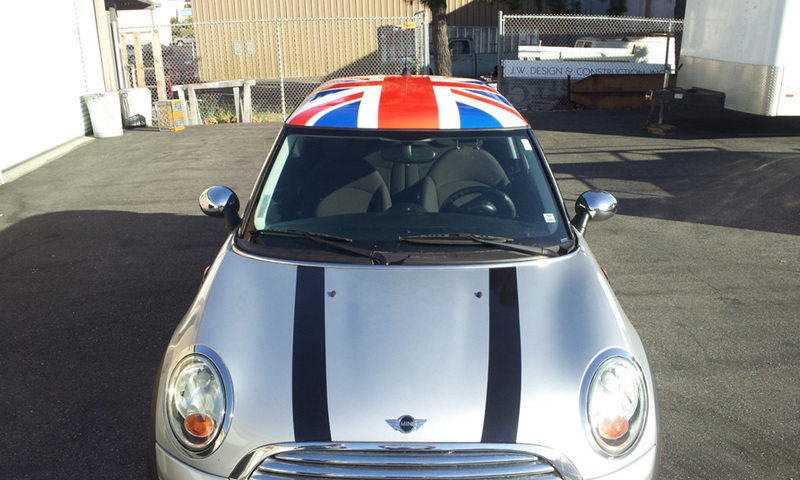 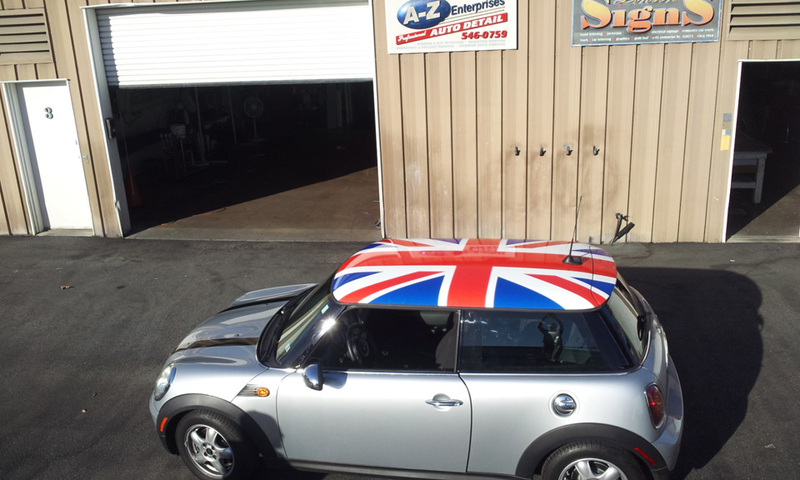 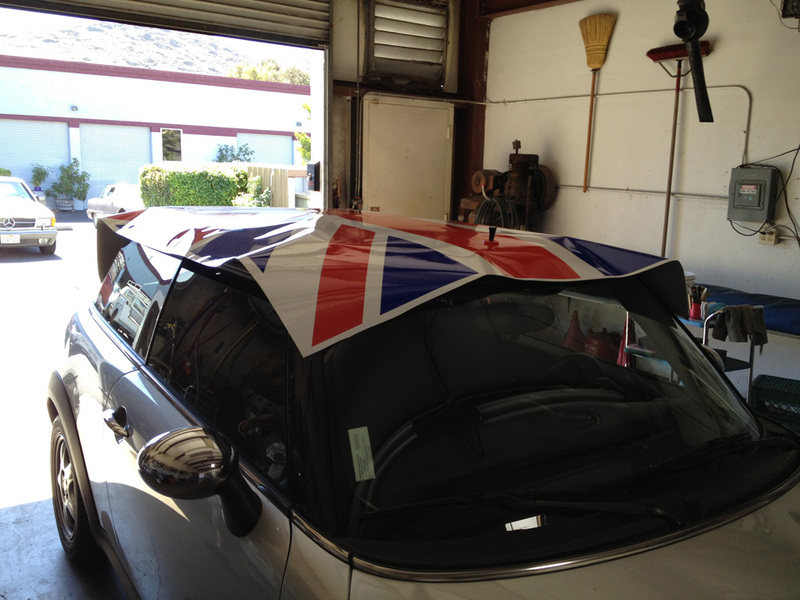 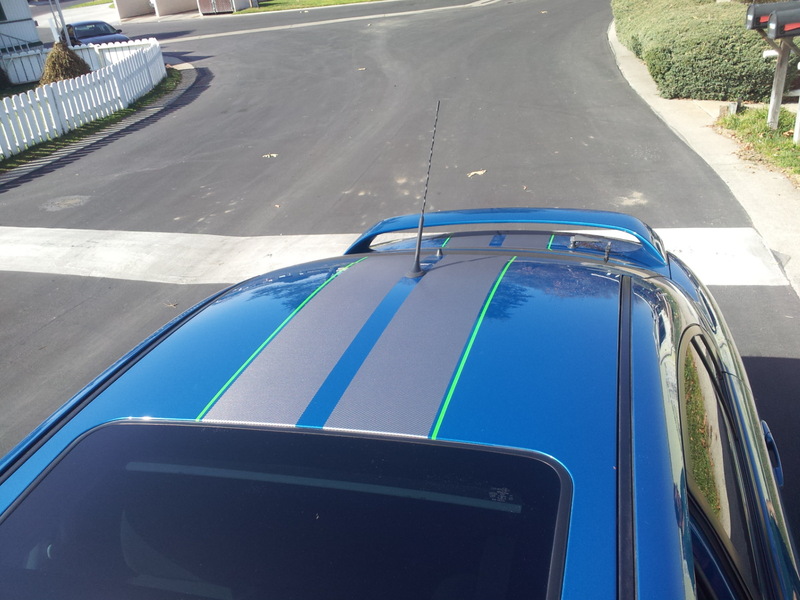 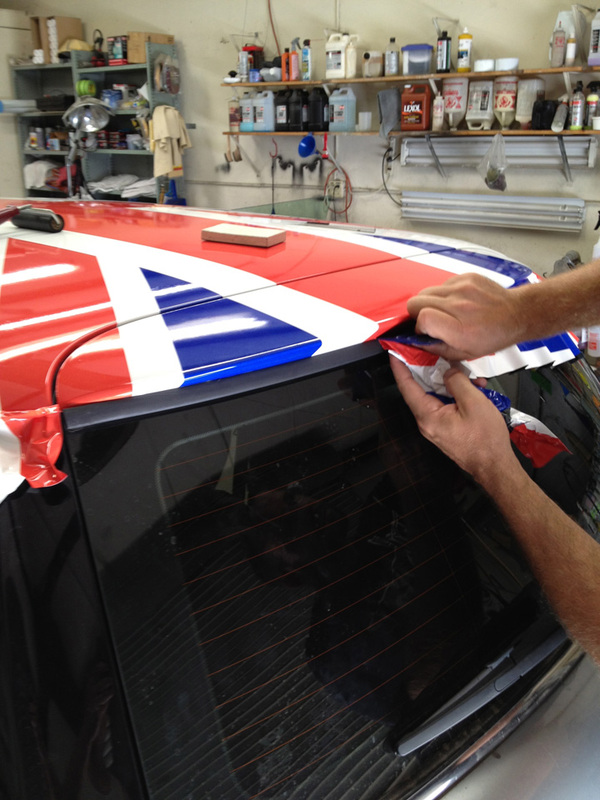 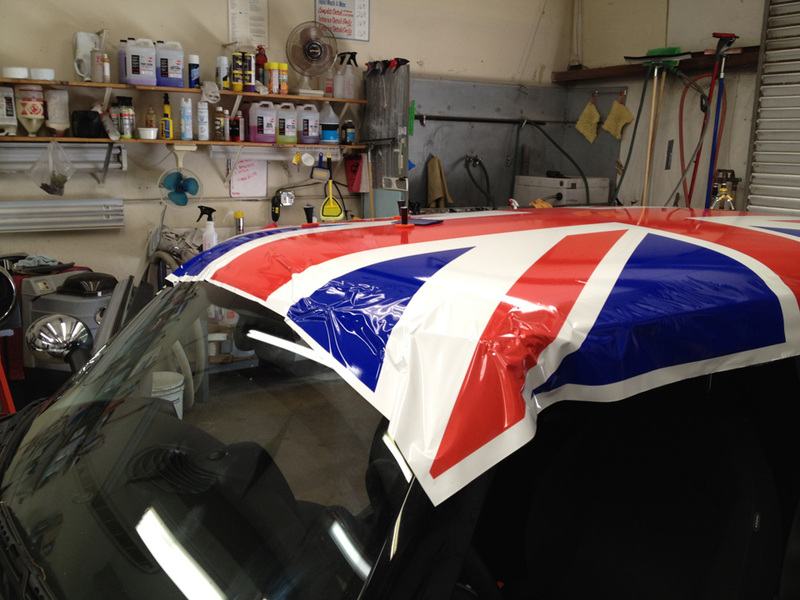 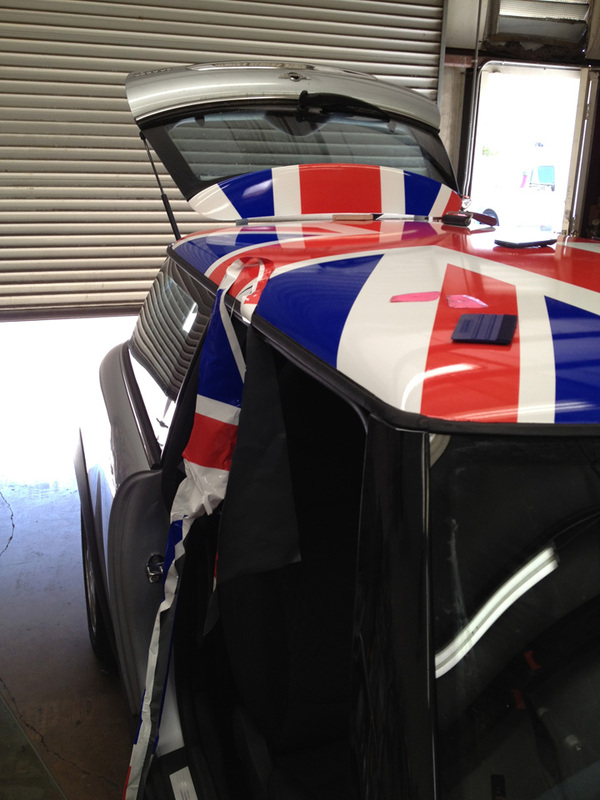 Car racing stripes for a Mini Cooper along with a printed roof wrap. 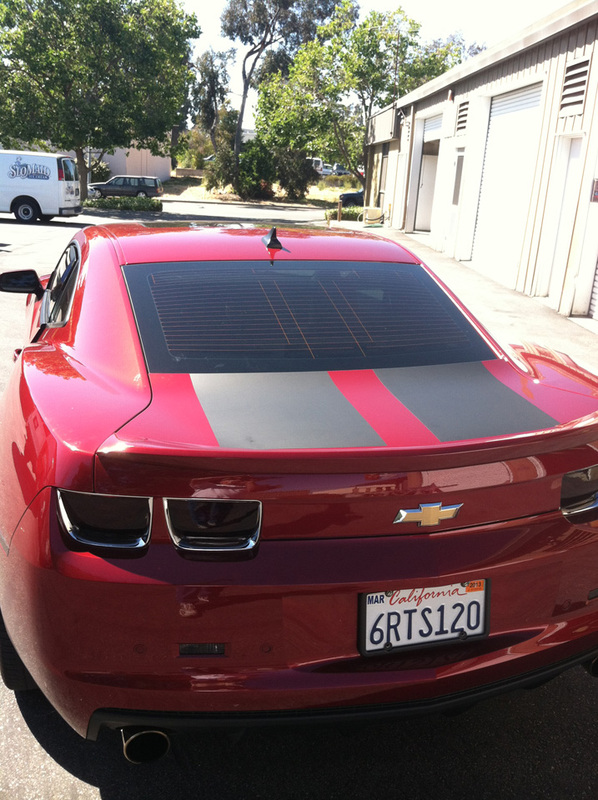 Black mat vinyl car stripes for a nice Chevy Camaro. 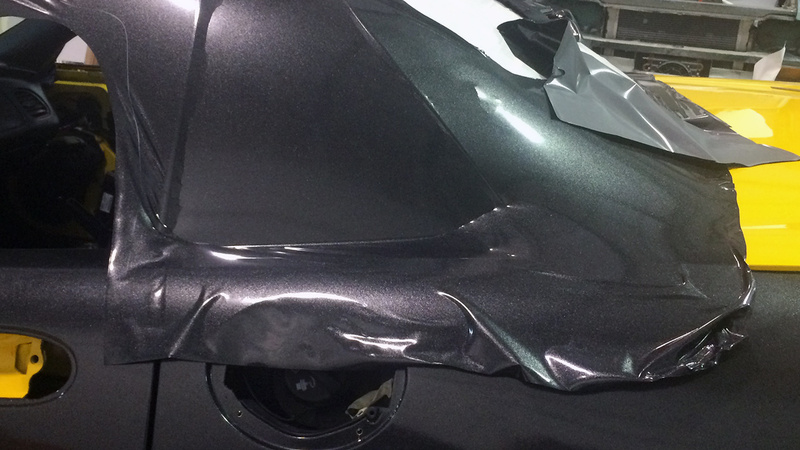 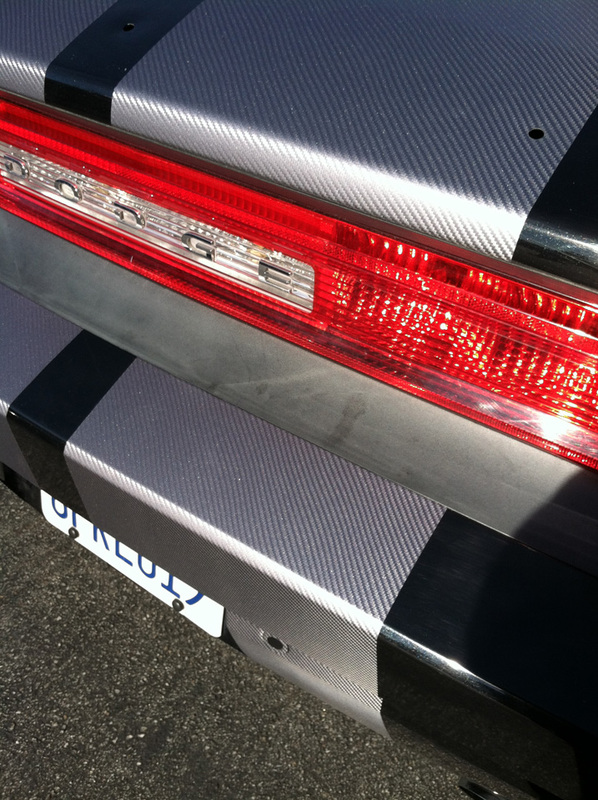 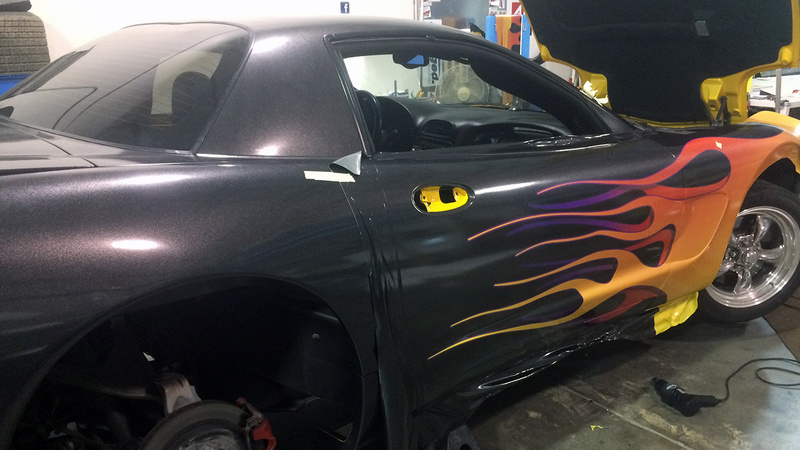 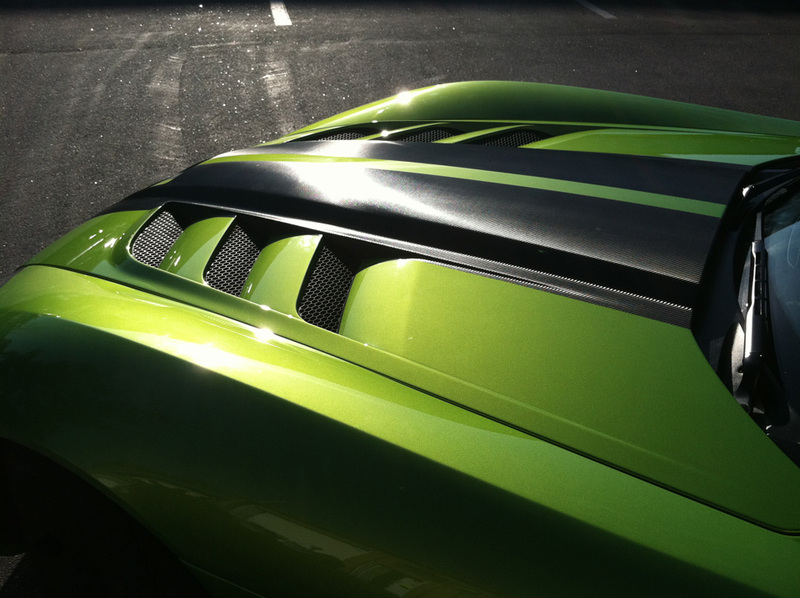 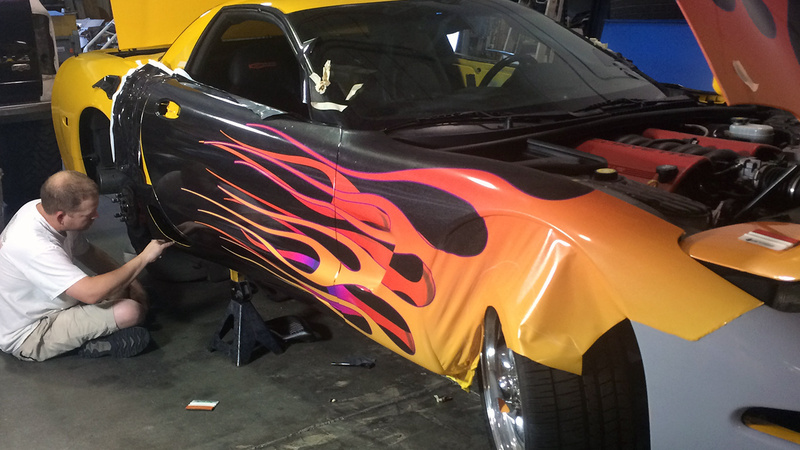 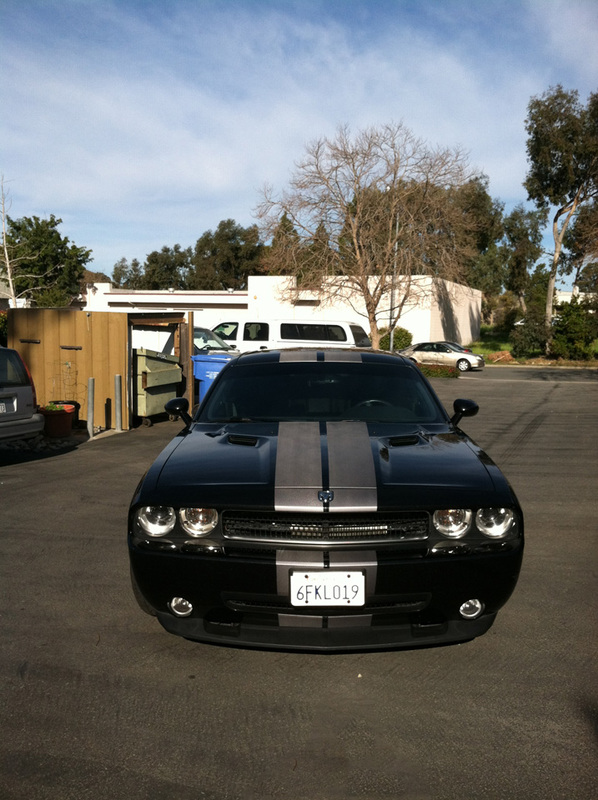 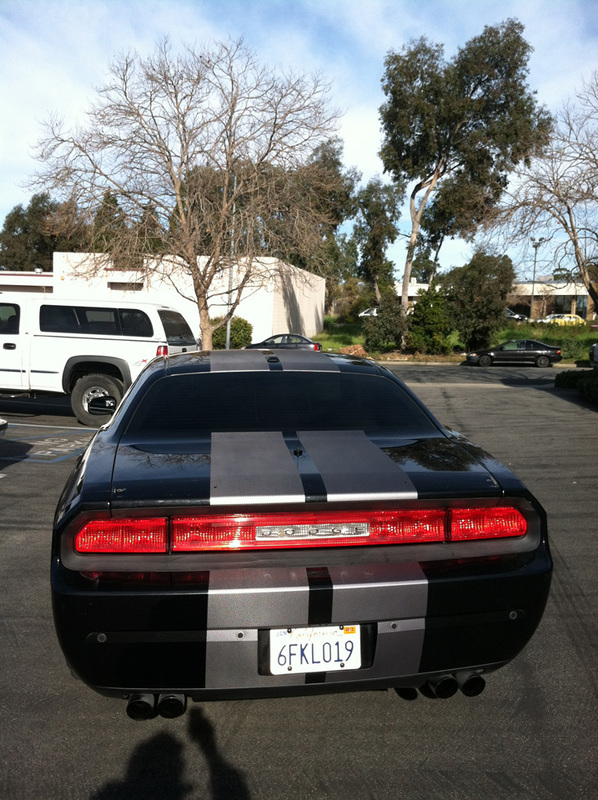 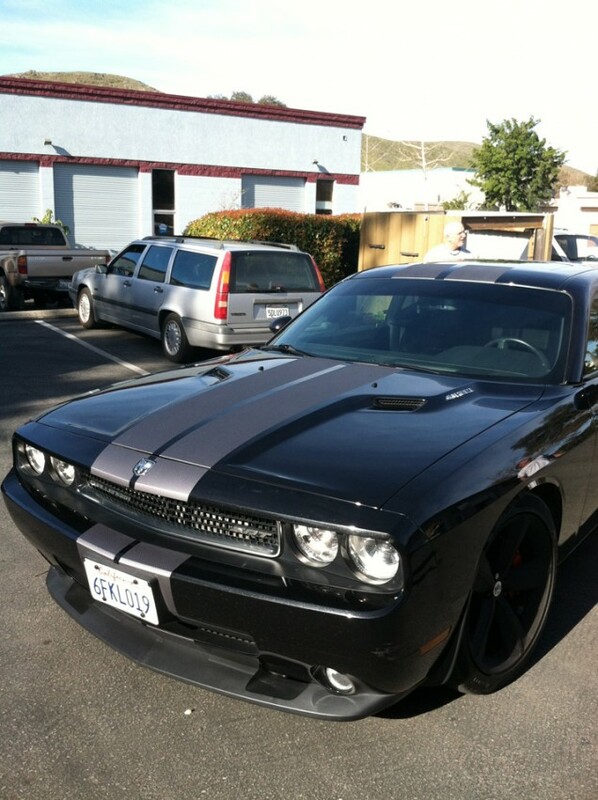 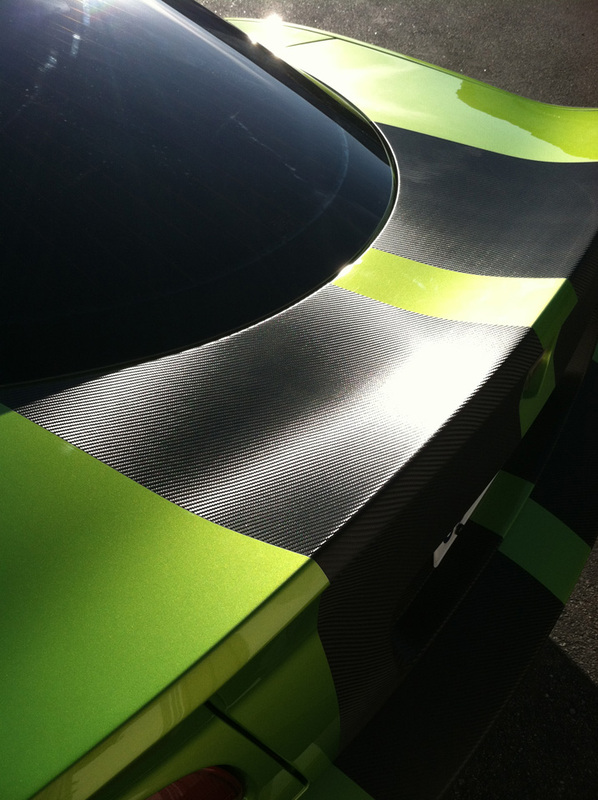 Carbon fiber car stripes cut from high performance air release vinyl and applied to this Dodge Challenger SRT. 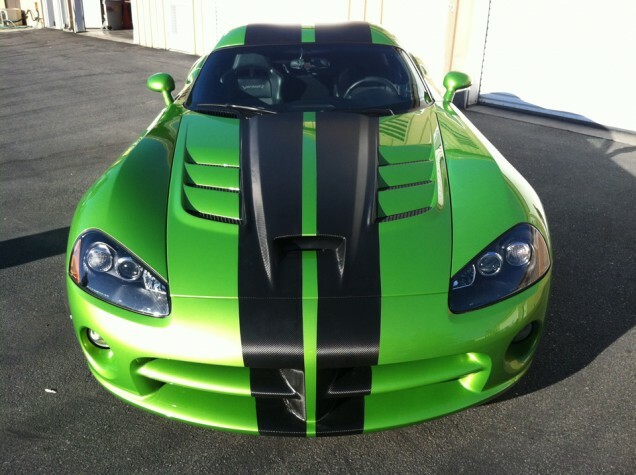 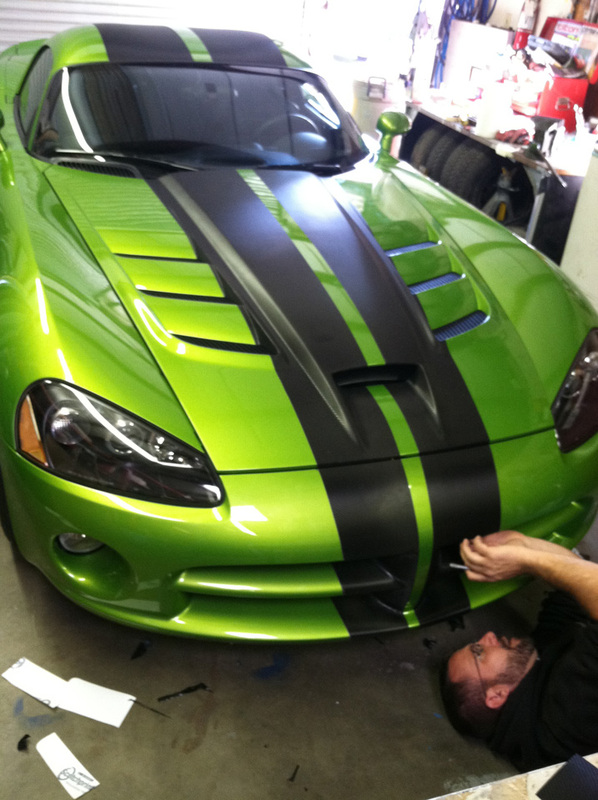 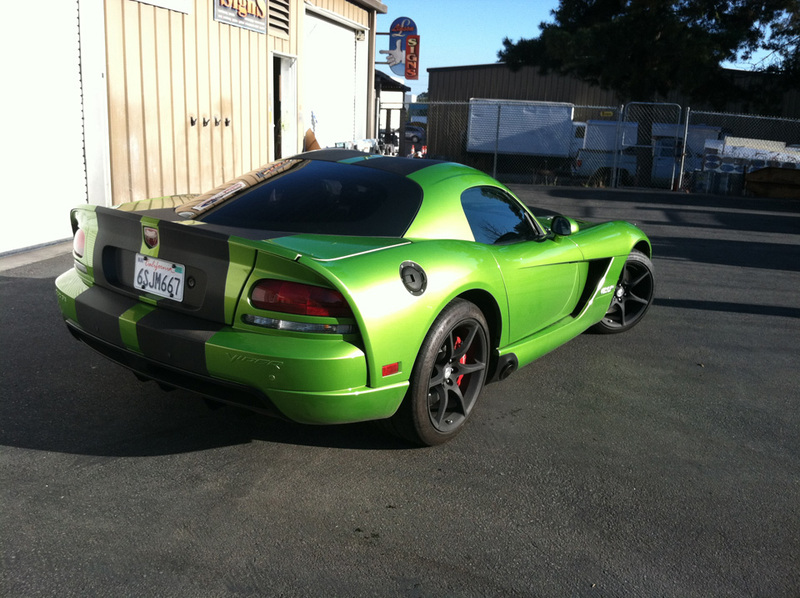 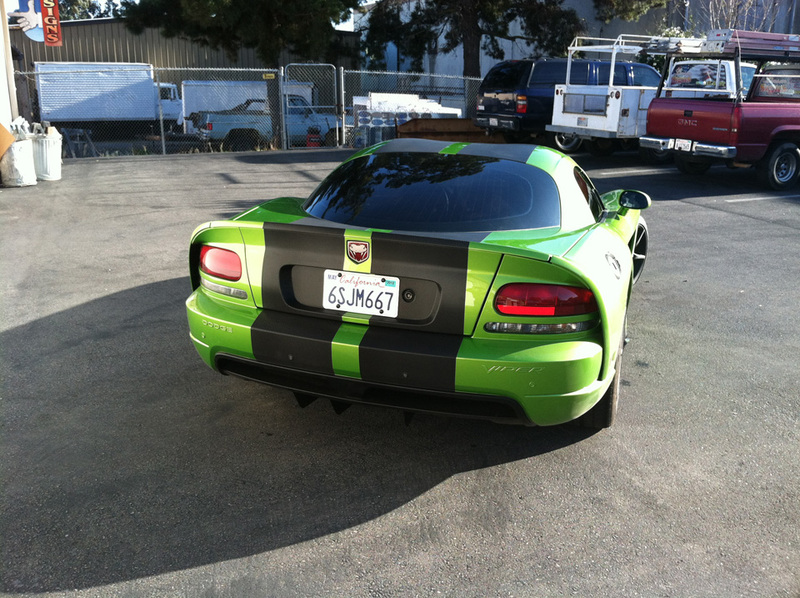 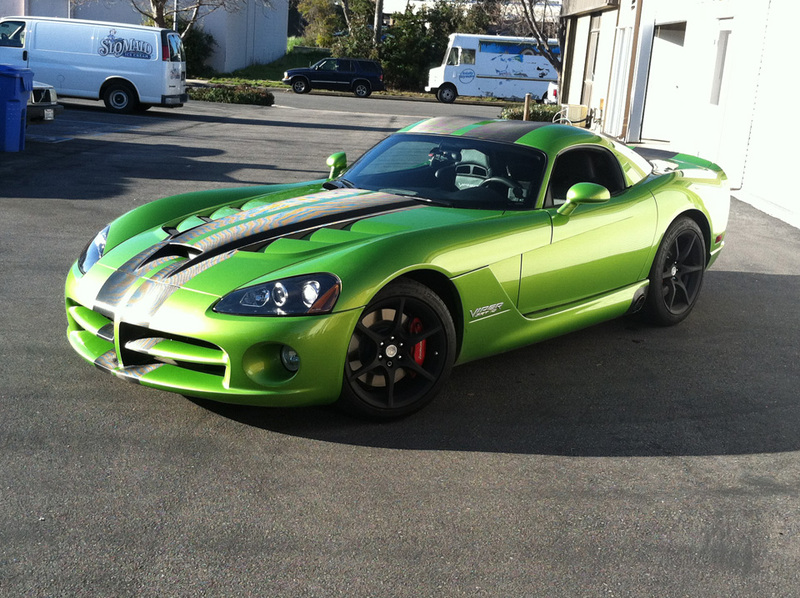 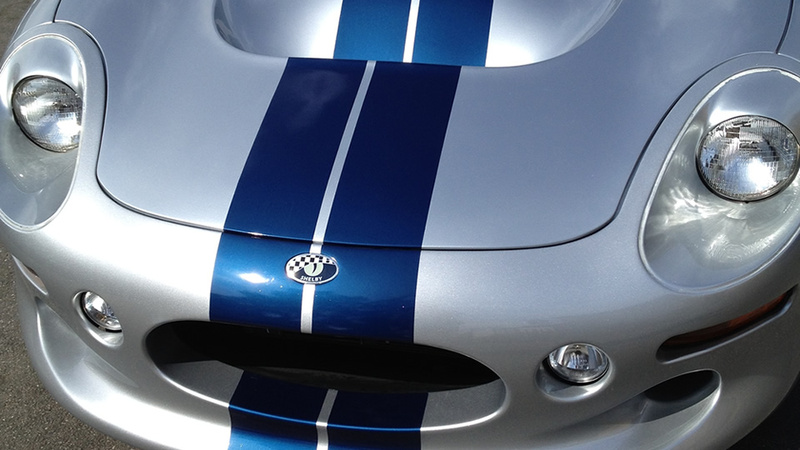 These Dodge Viper racing stripes, cut from carbon fiber vinyl, makes this already awesome car look even more sporty!